It had been a year since I’d last seen him, but I had – or so I thought – more important things to do on his birthday this year and now he’s gone, one more superstar snatched from us before his time leaving me with guilty regret. There was some dispute about his true age. His official birth certificate listed him as 60 years old, but it’s now widely accepted that he was actually born two years earlier in a small town 70 miles from Dallas and given up for adoption by the two men whose names appear on his original birth certificate. Darker rumors maintain that he was not legally adopted, but sold to the State Fair for a paltry $750 in a slam-dunk case of baby trafficking. Even his most fervent admirers will admit that he had a Howdy Doody sort of caricature look, but that fixed grin belied his shrewd management of a meteoric rise to stardom and six uninterrupted decades of celebrity. 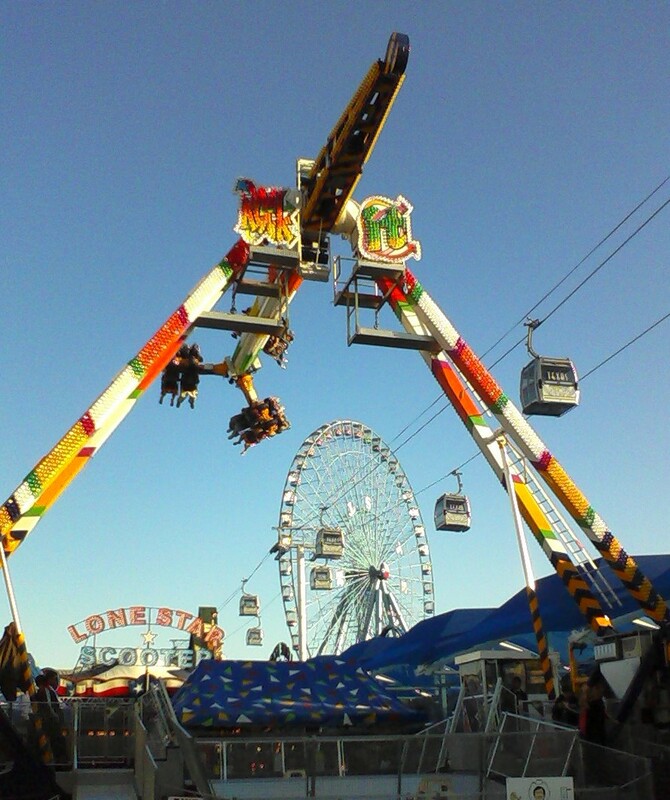 Big Tex was the last of the great carnival barkers, towering above crowds and tents and spinning rides against the backdrop of the Cotton Bowl to welcome visitors to the State Fair of Texas. He was Texan through and through, his skeleton a metal frame made from oilfield drill casing, and he seemed so indestructible that all were stunned when a garden variety circuitry malfunction laid him low. To put it inelegantly, he had a short in his shorts. The end was mercifully quick. Flames consumed his paper maché frame in a matter of minutes, but billowing smoke rendered him almost immediately voiceless. Onlookers could do nothing but watch as his Size 110 blue jeans turned to ash and his parched skin flaked away to leave only a steel frame and his fallen, giant hands. Oh, the humanity! Tall and lean even in the face of such temptation, B.T. was from time to time the target of accusations that he was a closet anorexic, but adoring fans would hear nothing of such slander and he returned as big as ever in each succeeding year. 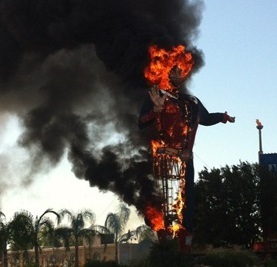 Had Dallas managed the Statue of Liberty’s bicentennial renovation, it’s likely that her torch would now be spewing laser-beam fireworks, her gown would be sequined with ever-changing red, white and blue lights like a Las Vegas billboard ( or – uh – Dallas’s new convention center hotel), and she’d be performing the moonwalk on the hour. 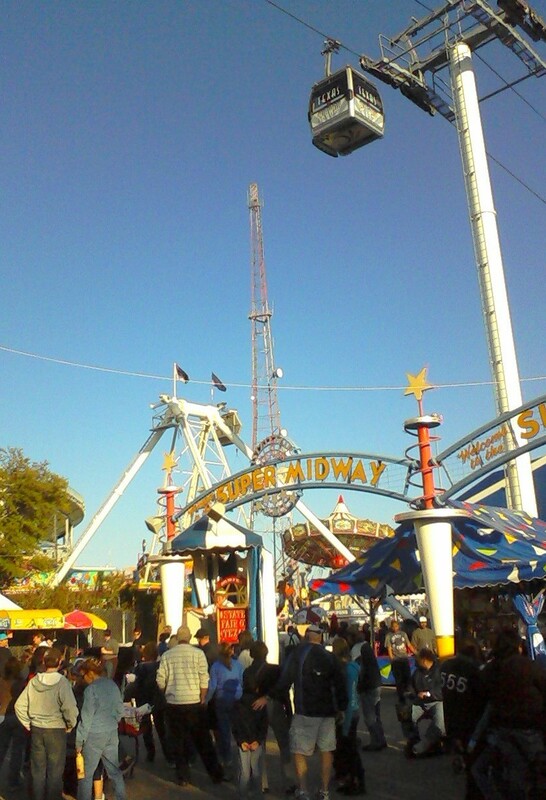 There’s something about Big Tex that speaks to a moment in time when Baby Boomers were still kids, and Texas was as it appeared in the classic movie “Giant.” A Texas before video games and PDA’s and downloadable media, when little boys played cowboy with stick horses and the good guys were not yet all bad boyz. 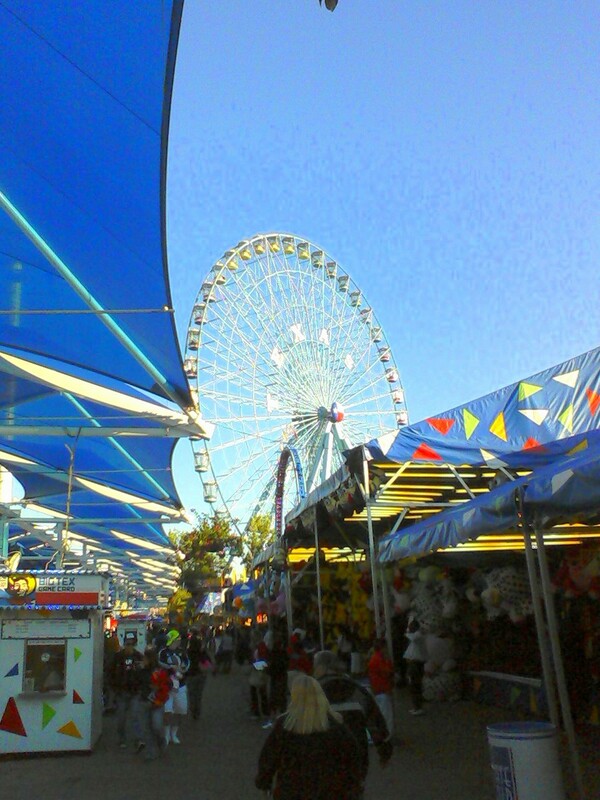 The Fair ran for two more days after Big Tex’s untimely passing. 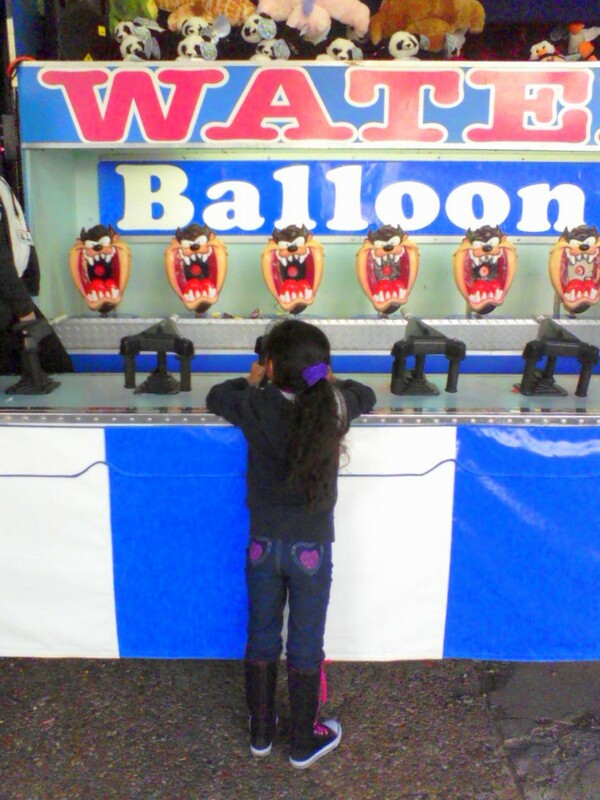 The rides and booths and food were all just the same as before. 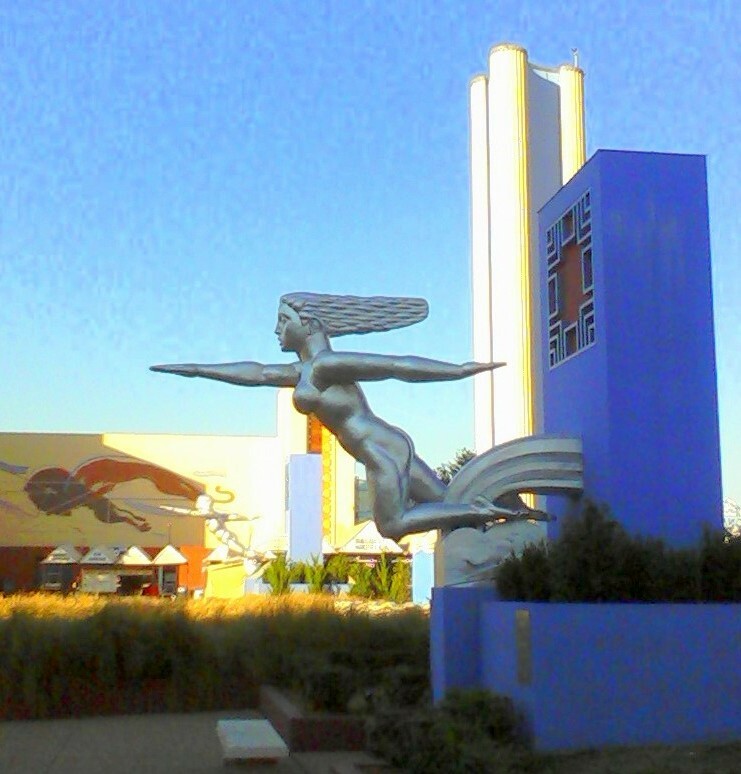 The Fairground buildings – the Southwest’s largest surviving collection of Art Deco structures – were unchanged, but without Tex’s long, tall shadow creeping across the sun-splashed midway the Fair’s mojo was – at least for the moment – gone. 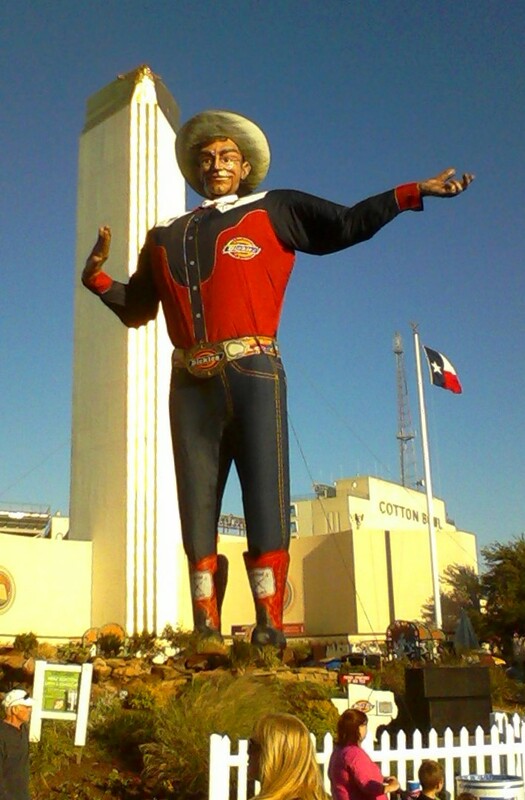 We can only hope that a Big Tex reborn will still have the same campy, carny feel that he exuded for more than 60 years… and not reincarnated like a classic Wurlitzer jukebox slickly and vacantly restored with mp3 guts… reduced to a 21st century drug store cowboy. 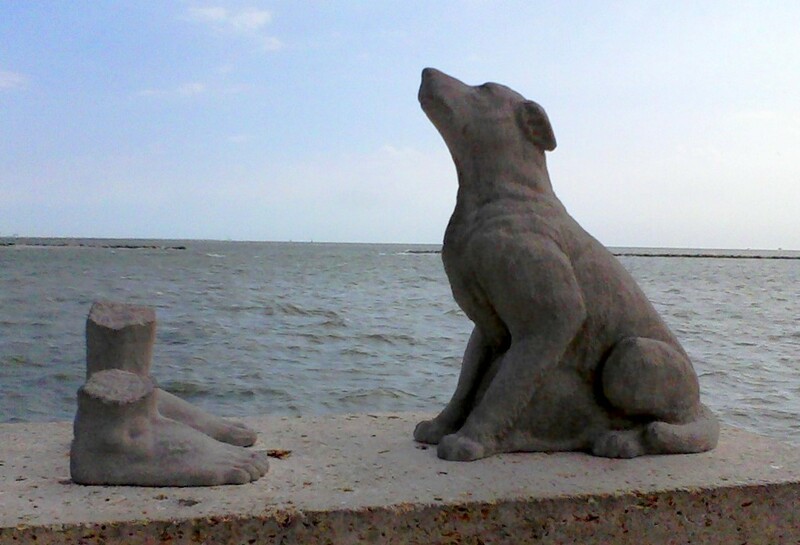 The biggest of many surprises when I first came to Texas was Corpus Christi. It is, after all, not often that the words “beach” and “Texas” are spoken in the same sentence outside the state. 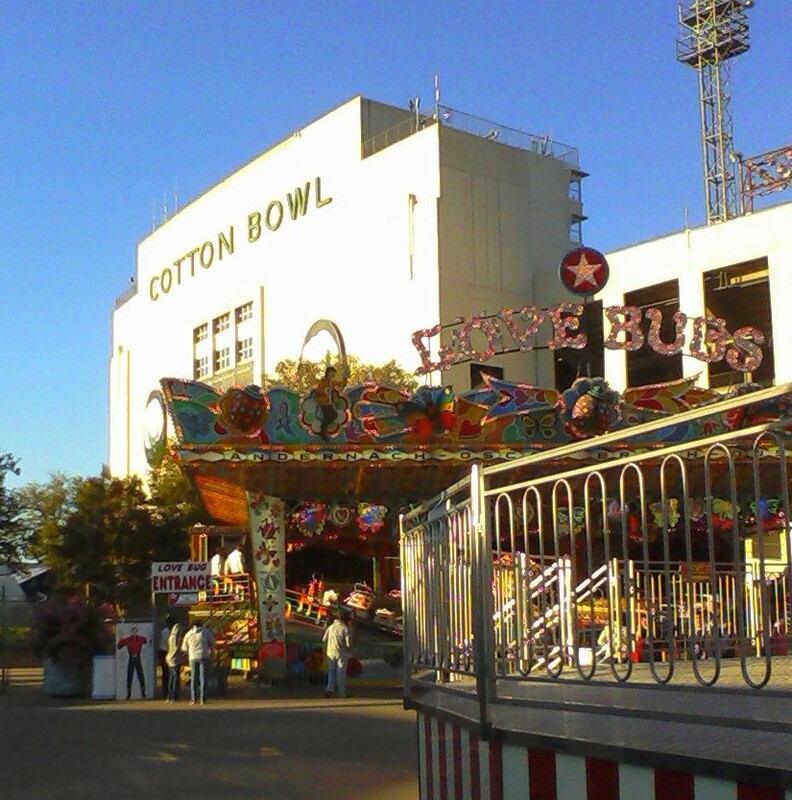 No matter how many outside stereotypes it may up-end, though, Corpus Christi is quintessentially Texan. 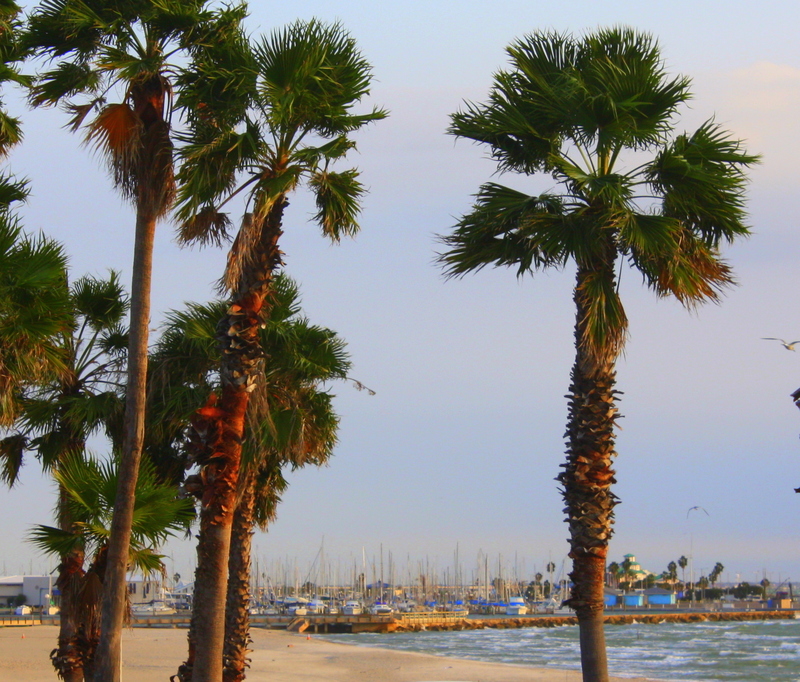 Corpus was once on my regular travel circuit, but it had been years since my last visit when I arrived on this trip. The first thing I notice is that the city has since not only acquired a skyline, but has razed blocks of old and unsightly buildings that once faced the bay. I could cut here to photos of magnificent sunrises over seashell-strewn beaches and there’s no lack of them within a 20 minute drive. 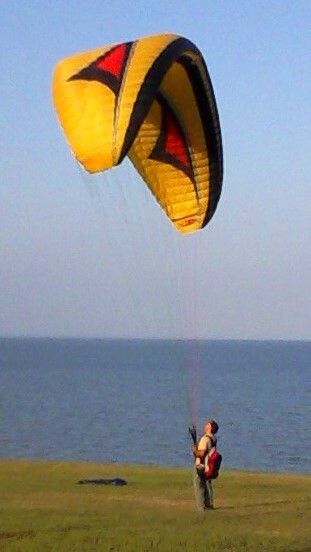 To reduce Corpus Christi to a stretch of sand and sea horizon, though, ignores some of the best part of the experience. 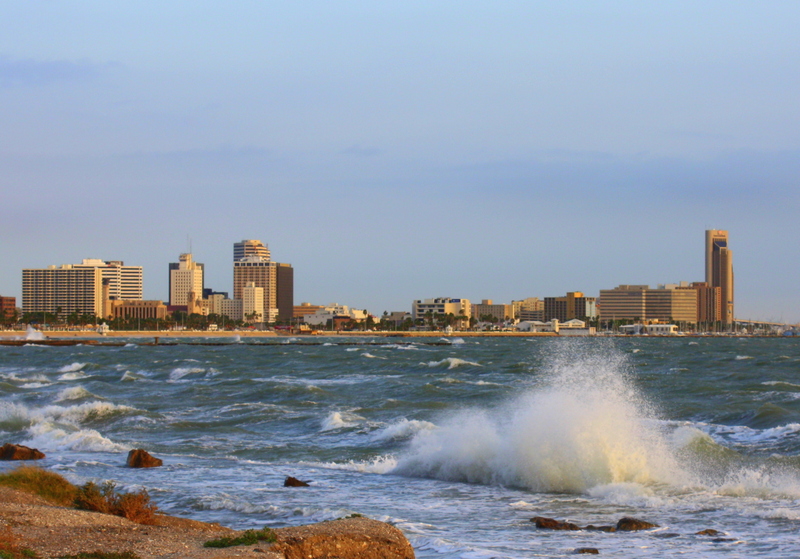 The city is wrapped around Corpus Christi Bay, sheltered from the Gulf by the northern end of Padre Island. 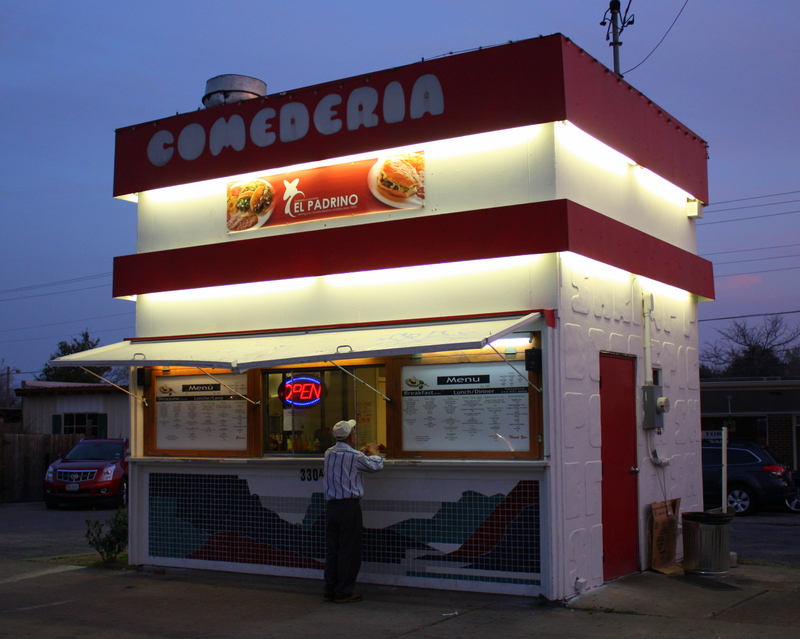 Here the Gulf has a distinctly Tex-Mex flavor, and the town exudes the same warmth and hospitality which seems to characterize all of South Texas (see my related post on San Antonio’s King William District). 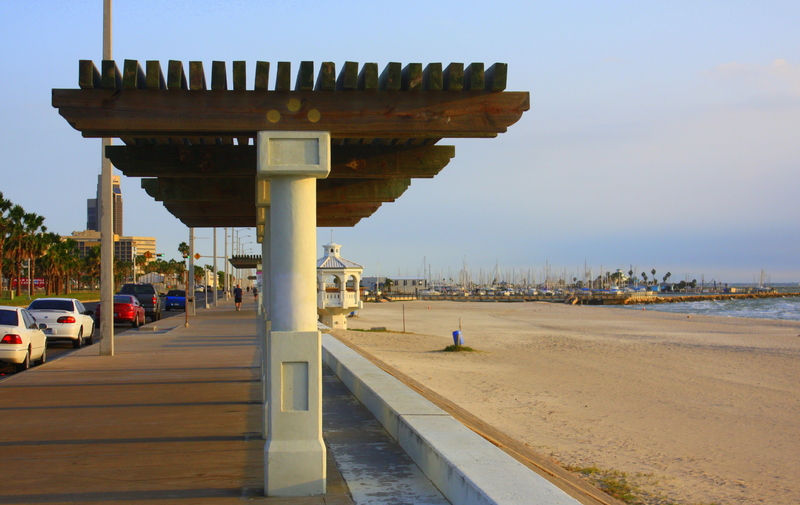 A publicly accessible bayfront stretches more than 6 miles from the Convention Center to Swanter Park, passing through several other parks along the way. 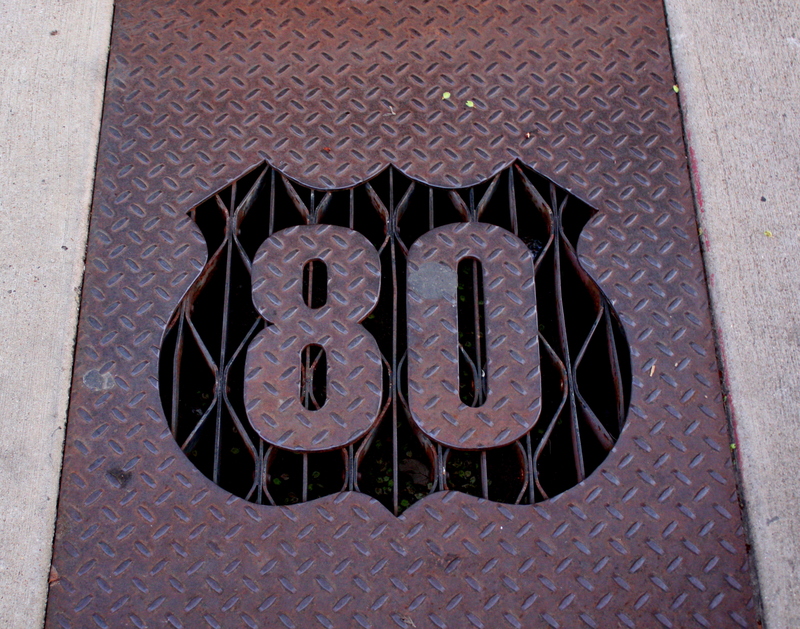 It’s a magnet for walkers, joggers, and cyclists and a great way to begin any day. I turn away from the bay on Water Street and stumble upon an eclectic collection of sights that in combination could be located absolutely nowhere else. 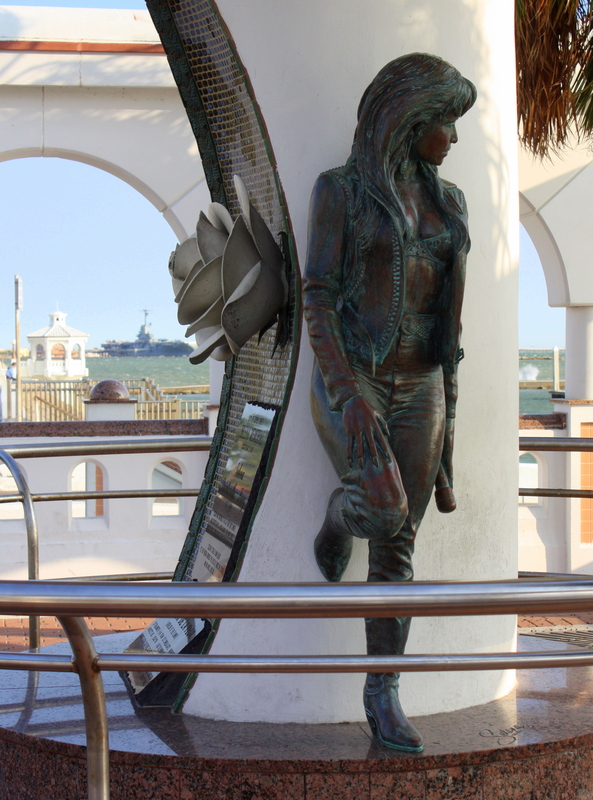 The statue of Tejana music star Selena on the seawall is only one of many places where residents and fans pay homage. 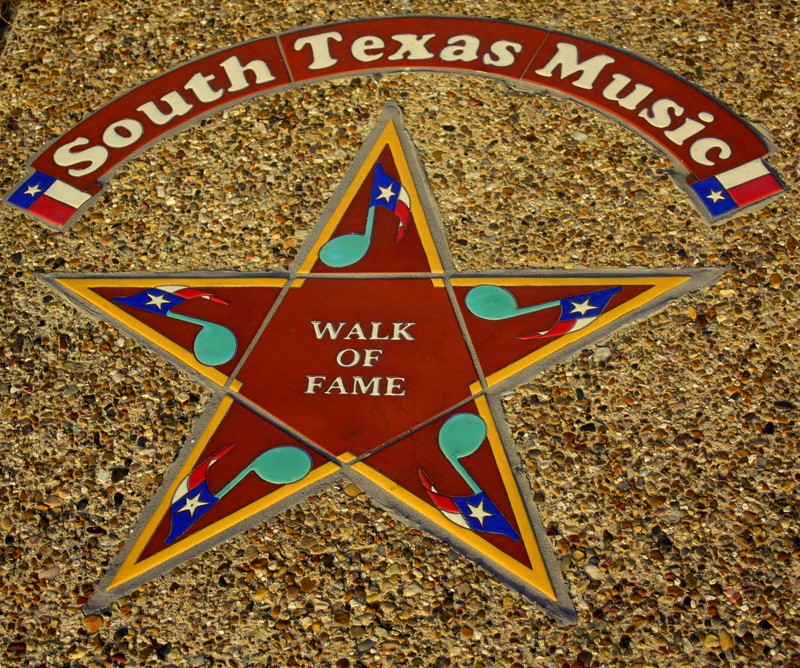 Her star is among those on the South Texas Music Walk of Fame, which highlights other musical notables who were either born or lived in South Texas. Some of the better known include Freddie Fender, Guy Clark, Selena, Christopher Cross, Kris Kristofferson, Rusty Weir, Doug Sahm, and Bill Haley. 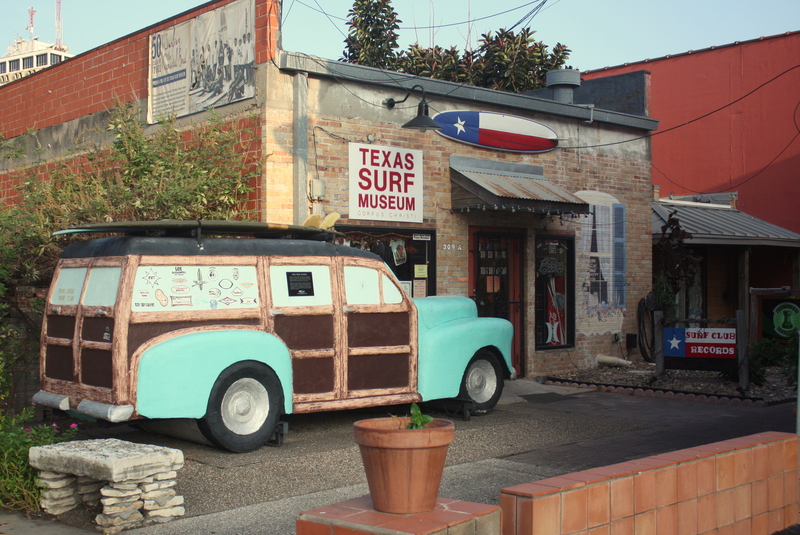 Whether you’re a surfer or not, The Texas Surf Museum is great fun in a kitschsy sort of way. It’ll leave you humming ’60’s California surf tunes for the rest of the day! Next door I find a great latte at Coffee Waves. 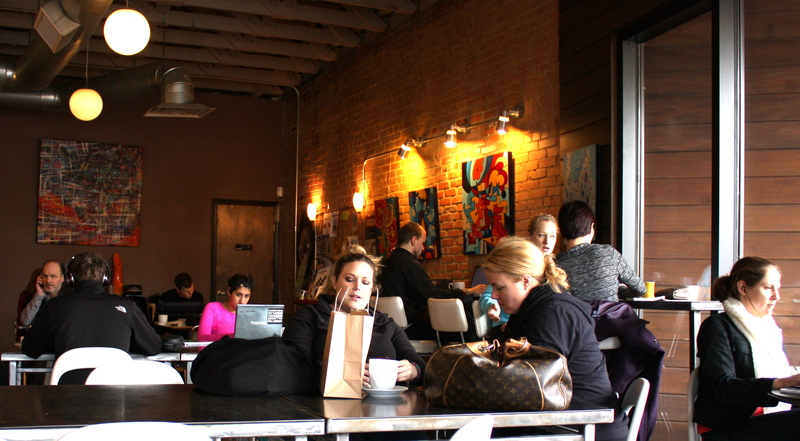 I add it to my collection of “anywhere but Starbucks” coffeehouses! 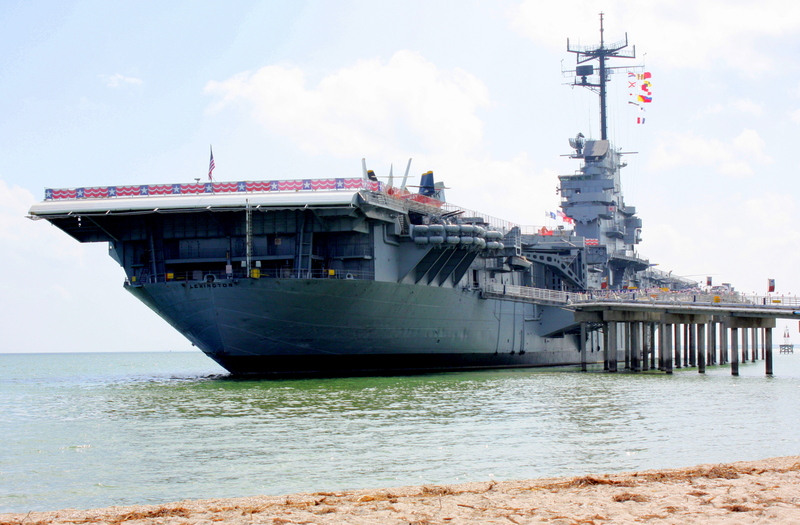 Just over the Nueces River bridge sits the aircraft carrier USS Lexington, now a floating museum. 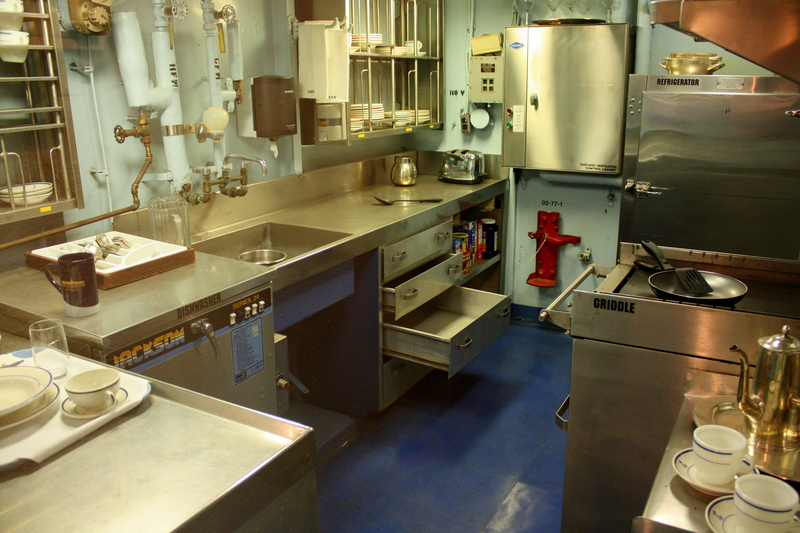 There’s enough hardware on this vessel – planes, engines, compressors, pumps, gauges, switches and dials – to keep any war buff or engineer mesmerized for weeks, but I found the living quarters far more engaging. 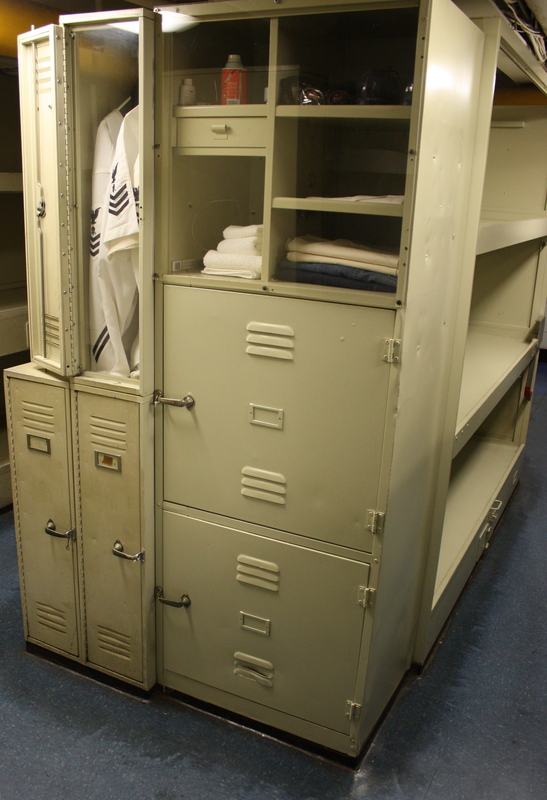 As I roamed this part of the ship I had a very palpable sense of the many who had lived aboard the Lex during its 48 years of service. 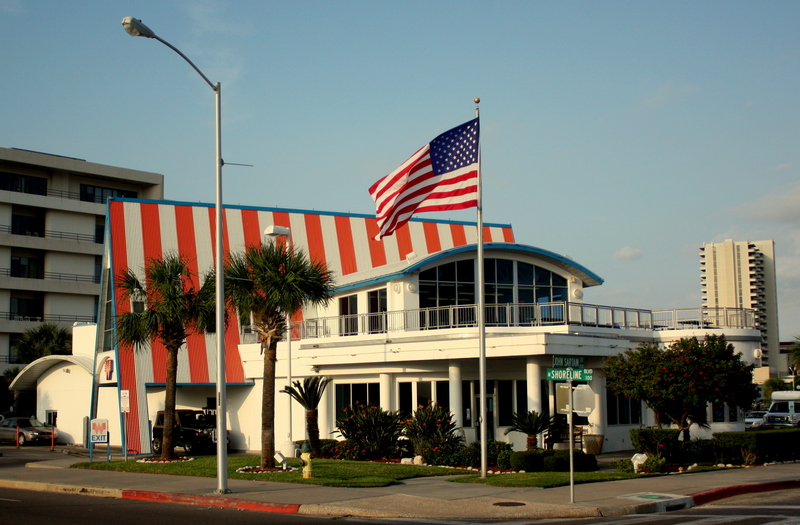 Just a stone’s throw from the Lex is the Texas State Aquarium. 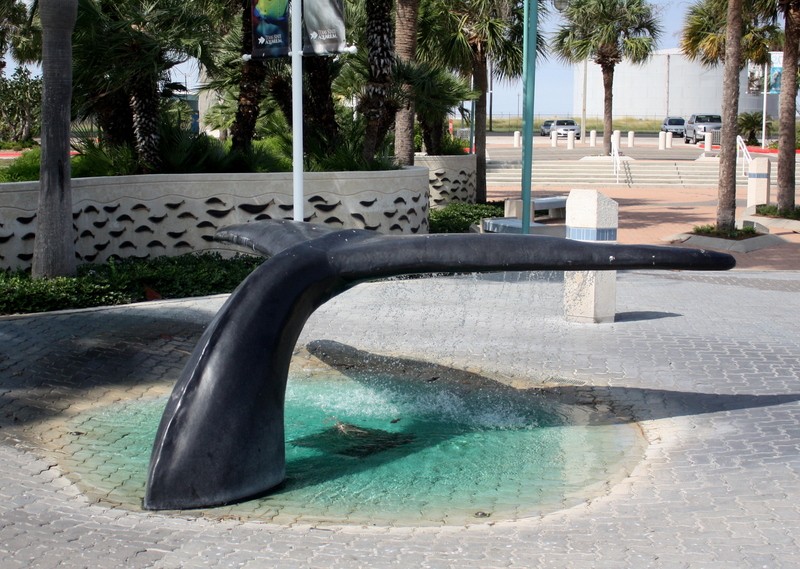 It may not be the world’s largest or most ostentatious, but it contains sea and shore life painstakingly selected only from species native to Texas. 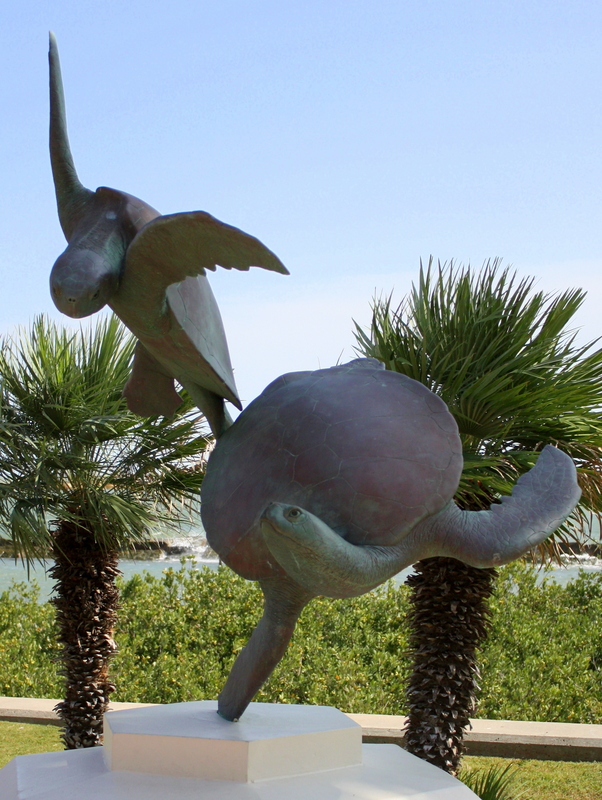 Some great sculptures mark the entrance, and anyone with kids in tow will be glad to know that even here they’ll find the obligatory porpoise show. I find myself on more than one evening – including my final night – having dinner just a couple of blocks from the seawall at the City Diner & Oyster Bar. 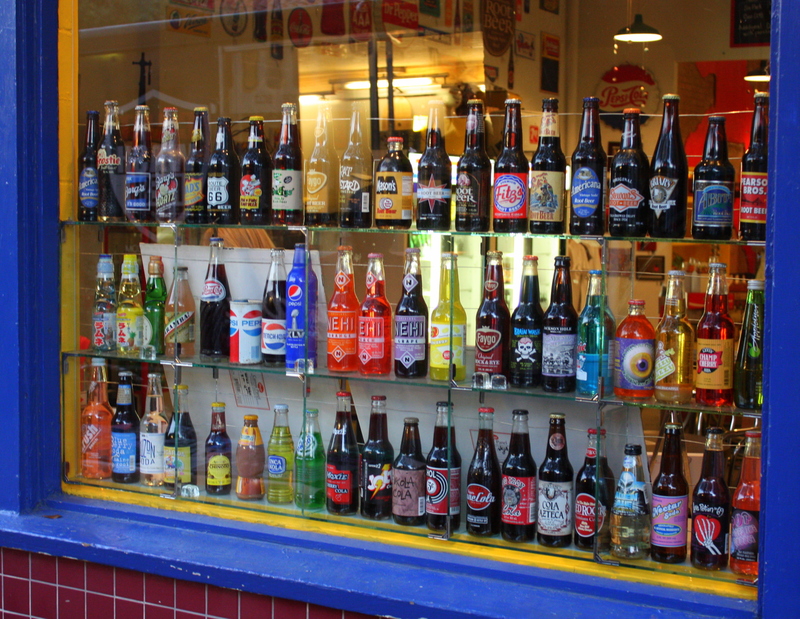 The atmosphere is classic 40’s diner, the service is friendly, the prices reasonable, and the food outstanding. Like many popular local eateries, City Diner has no web site, but more information, including reviews, can be found here on Yelp. I cross the river bridge for the last time. Below me an oil tanker passes through the channel and oil rigs dot the sea horizon. 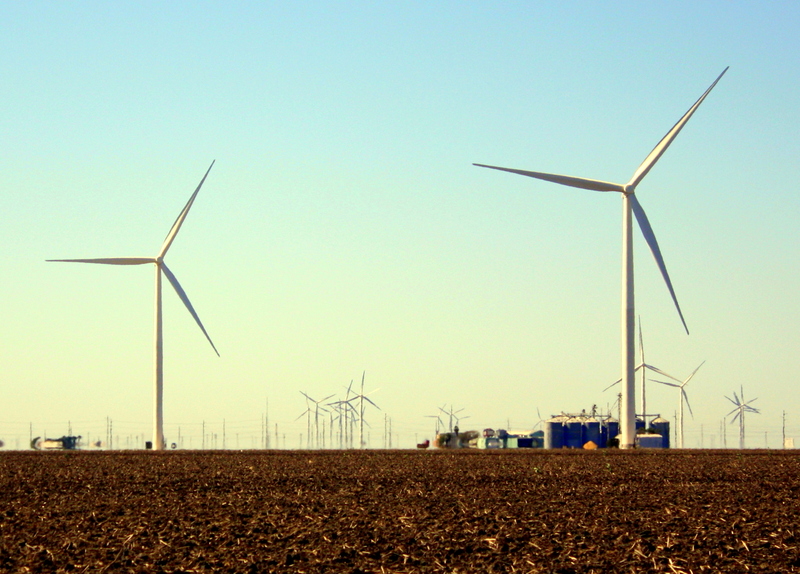 As I head northward I’m startled by a sight I never expected to see: A wind farm stretches for miles, hundreds of vanes stirring in the breezes. 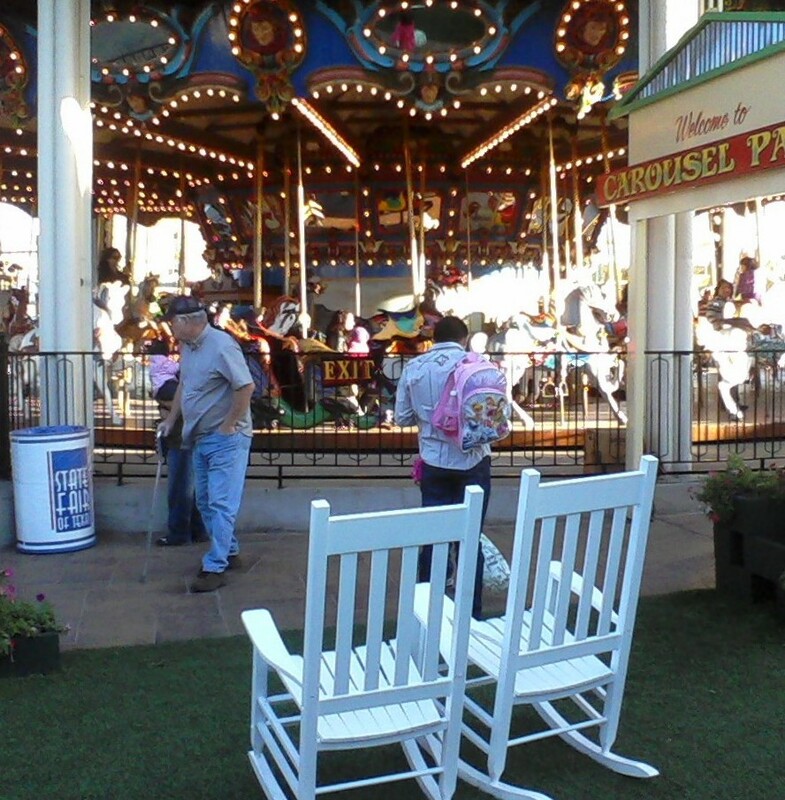 Texas is nothing if not a place of contradictions! 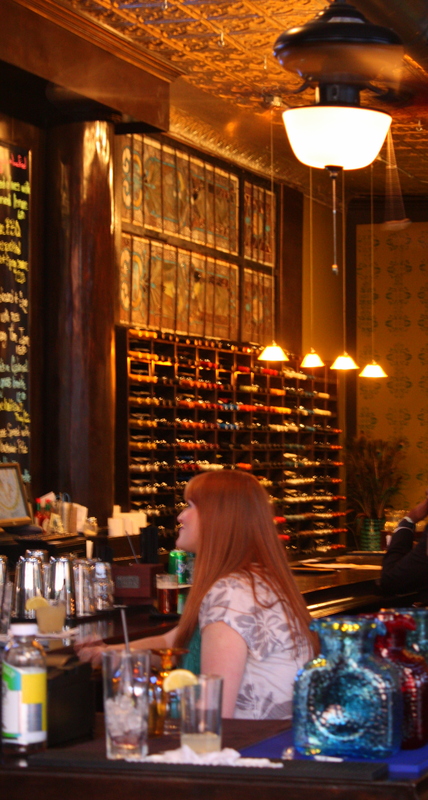 If you can do without condescending sommeliers, thrice-marked-up wines, and valet parking… you’ll be pleasantly surprised at the great dining experiences – not to mention great values – to be had at Dallas’s B.Y.O restaurants. I’m talking about genuine B.Y.O.’s that will uncork your bottle or lend you a corkscrew without charging a corking fee. In these establishments there’s no worry about whether the wine list will have something which appeals to you at a price less than your car payment. Here if you’re not drinking a bottle of your very favorite with the meal or if you’ve overpaid for it you’ve no one to blame but yourself! 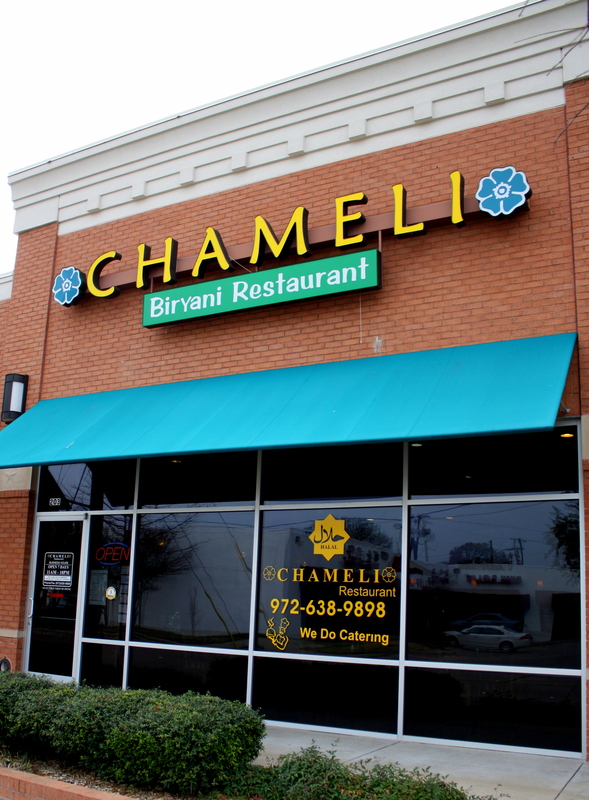 These three East Dallas B.Y.O.’s prove the point that the food has to be damned good in a restaurant that serves no alcohol! 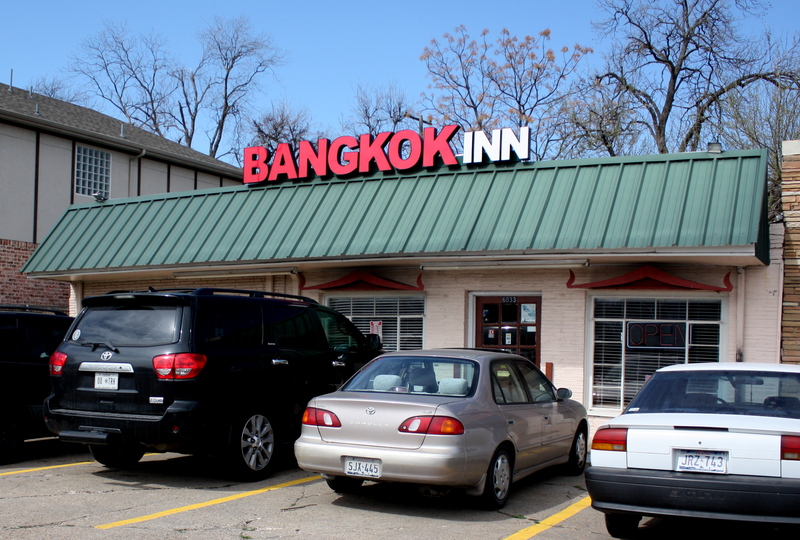 BANGKOK INN. 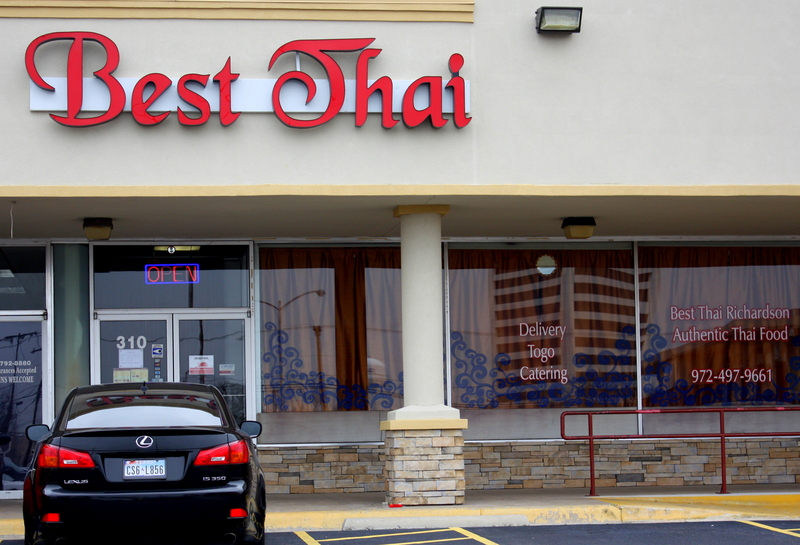 Located at 6033 Oram just off Skillman (at the edge of the Skillman/Live Oak Shopping Center), this is not one of those Thai restaurants that look like the movie set of The King & I. 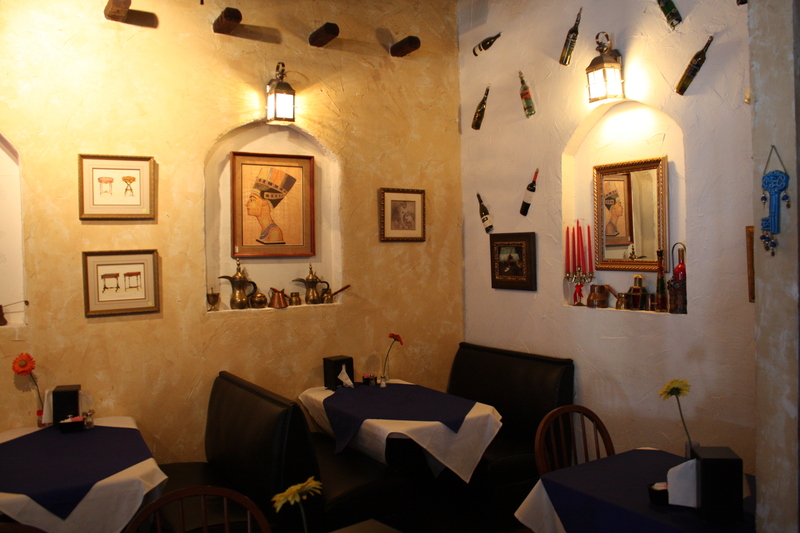 It evokes instead the feel of a country village restaurant. 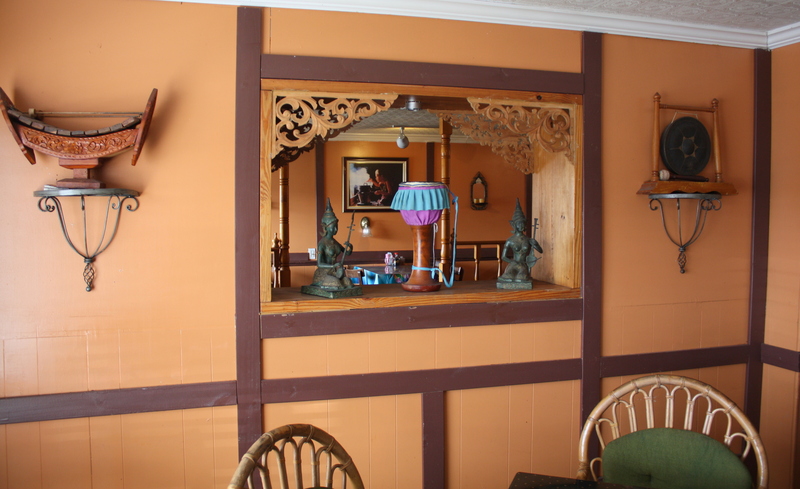 It’s bright and warm with plenty of Thai artifacts on the walls. 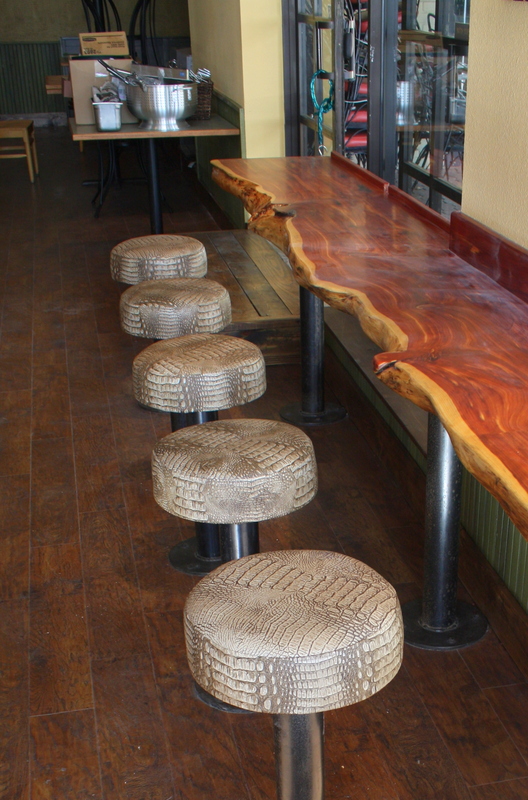 Twenty or so tables are spread across two adjacent dining rooms to create very intimate spaces. 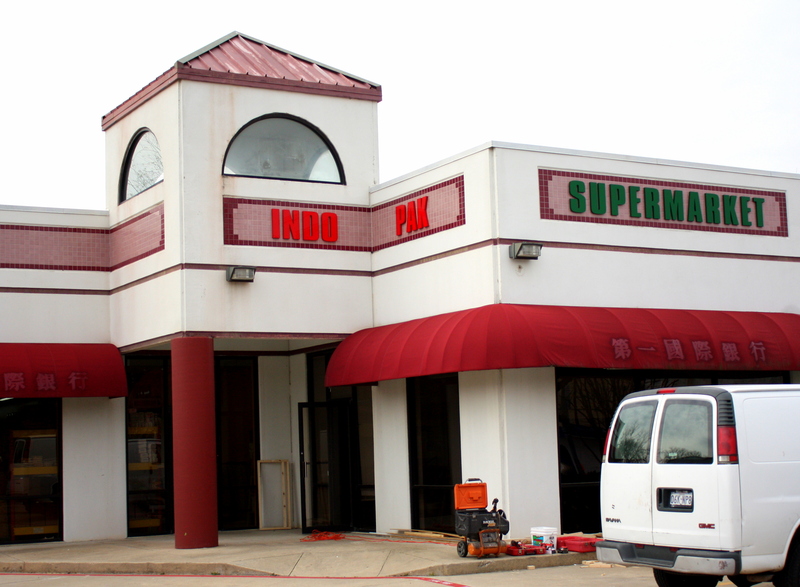 Bangkok Inn is owned and operated by the Schuskul family, who came to Dallas from Thailand via Maryland and later Houston. 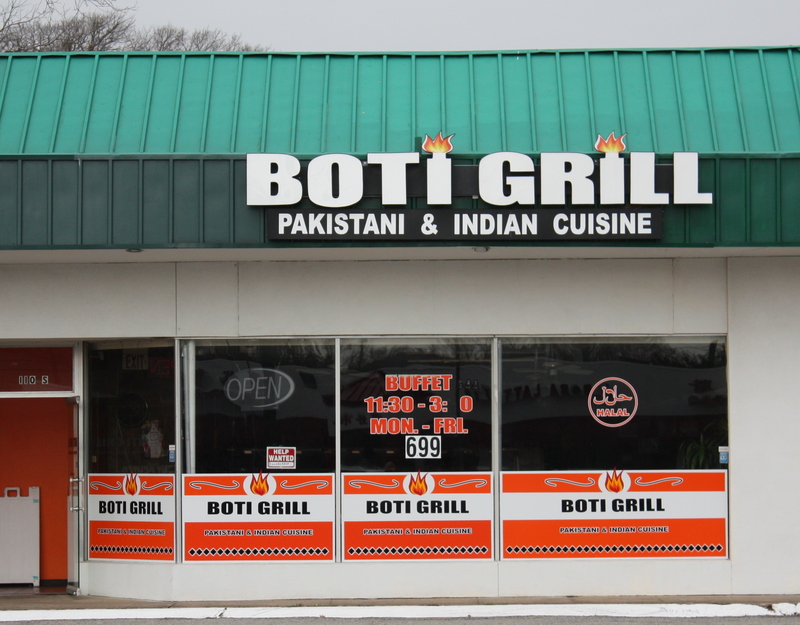 Expect much of the traditional on this menu. 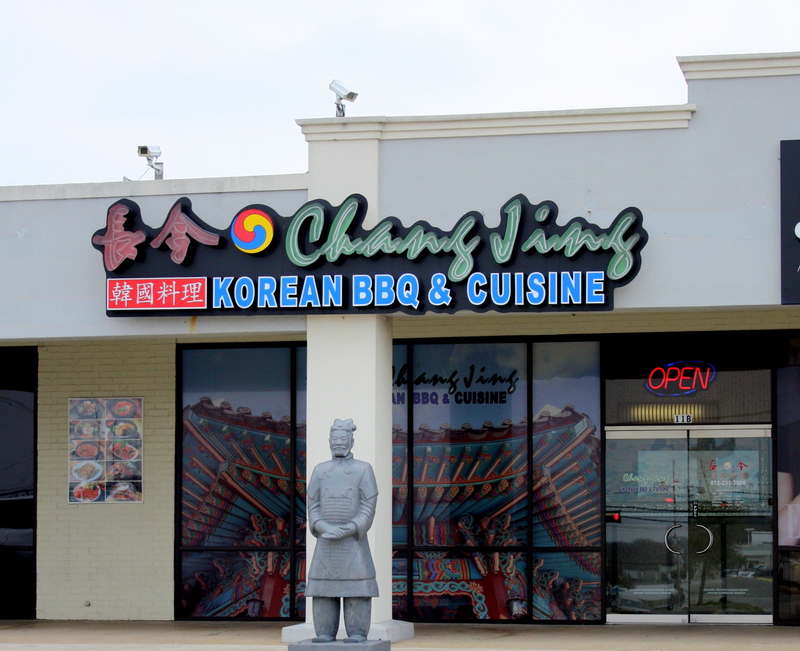 There are good Tom Yam Kai and Kai Tom Kha soups and egg rolls and spring rolls appetizers. 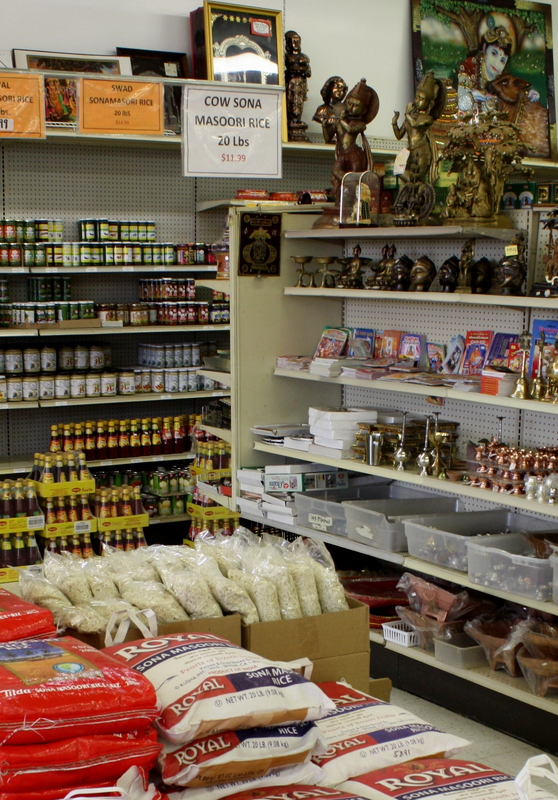 Also be delighted by a great Thai Dumpling or a satay in pork, shrimp, or chicken. 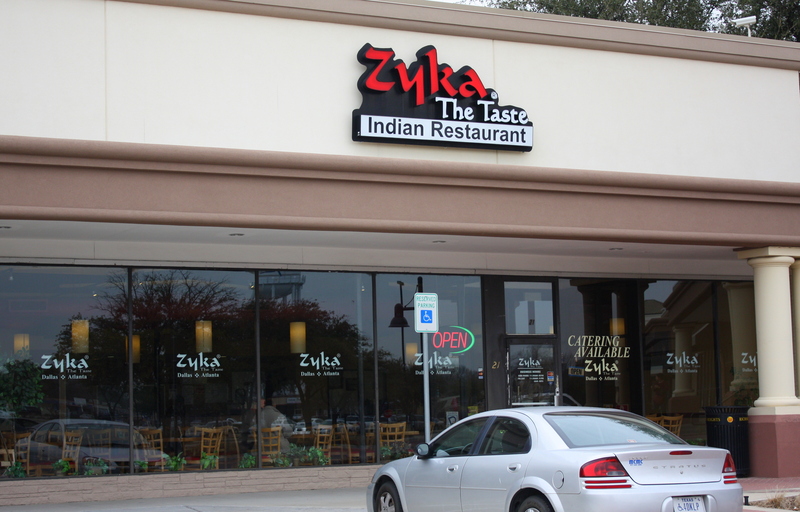 For me the entrée always comes down to the hard choice between equally tasty green, red and yellow chicken or beef curries. For dessert check out the fried banana with honey over ice cream or the banana in coconut milk. 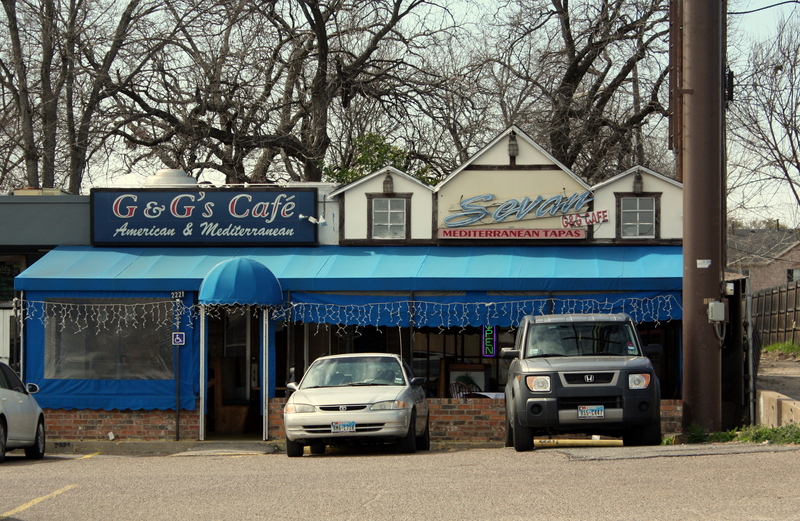 SEVAN G&G CAFE. 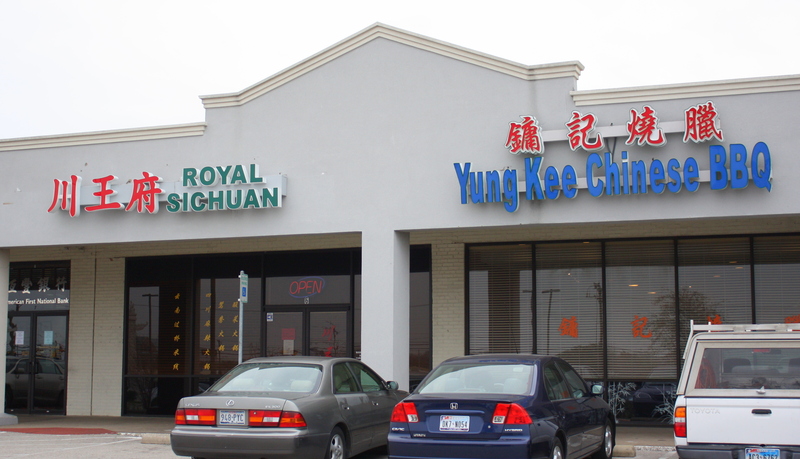 Located at 2221 Greenville between Richmond and Belmont, this restaurant’s name reflects the purchase in 2004 of the Sevan restaurant by current owners Grace and George. 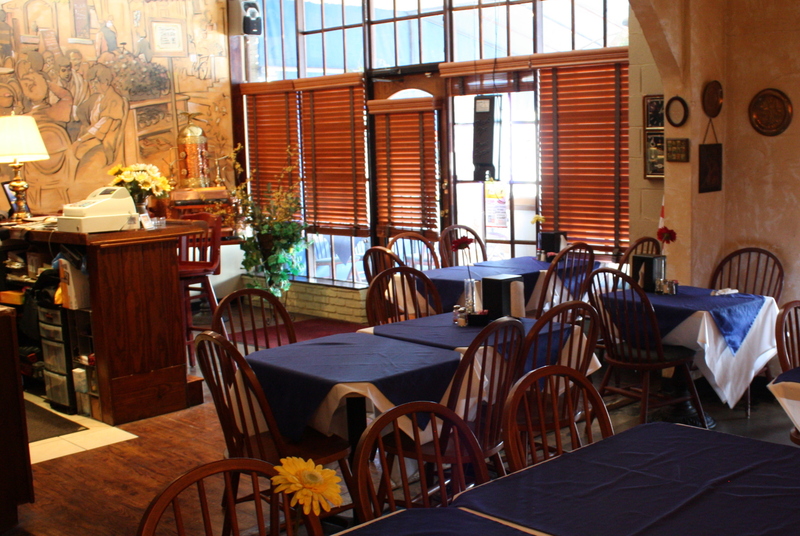 Walk through covered patio dining to enter the dining room, where wood paneling and a cozy layout create the warm and comfortable atmosphere of a true neighborhood bistro. 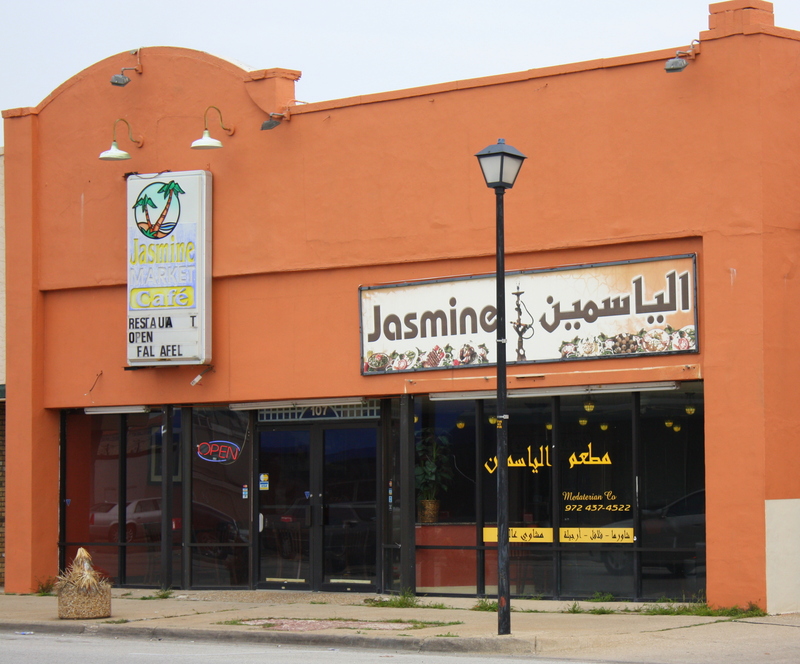 The owners are originally from Lebanon, and art and implements from the Mediterranean decorate the walls. 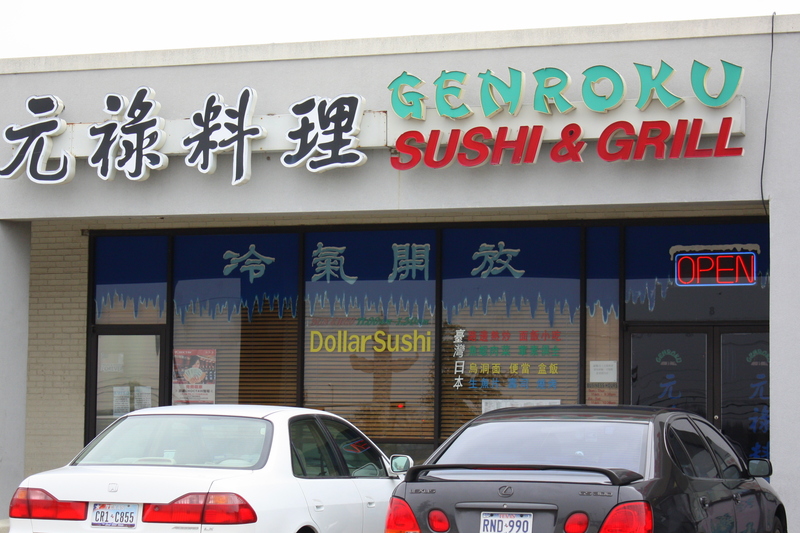 Like an increasing number of restaurants in the area, Sevan G&G draws an eclectic crowd ranging from Lakewood and M Street homeowners to young apartment dwellers. 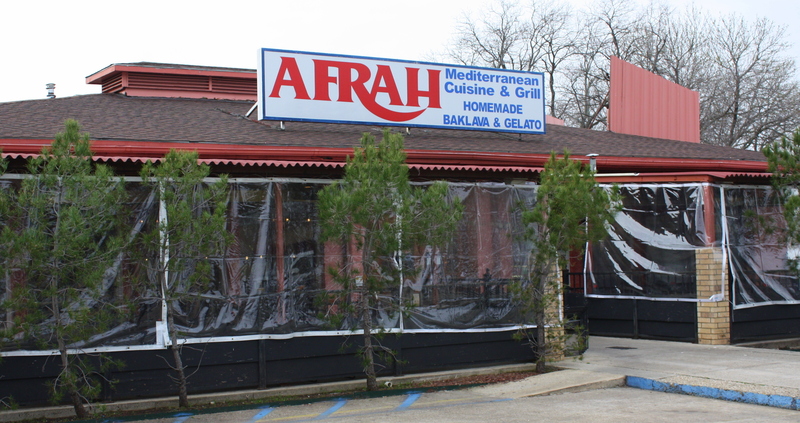 The expected Mediterranean fare – hummus, baba ganoush, dolmas, and gyro are all without exception well done. Then there are unique offerings like the Pistachio Chicken, an amply-sized chicken breast encrusted with ground pistachios and stuffed with feta cheese. At just under $23, the rack of lamb is the most expensive item on the menu by a far shot; most entrees range between $10-$15. 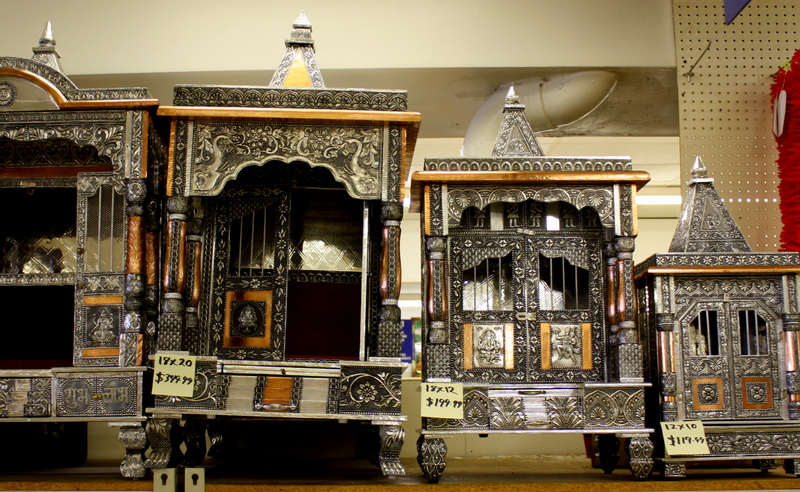 The owners are always to be seen in both the front and back of the house, and they make you feel like you’ve been invited to dine in their home. 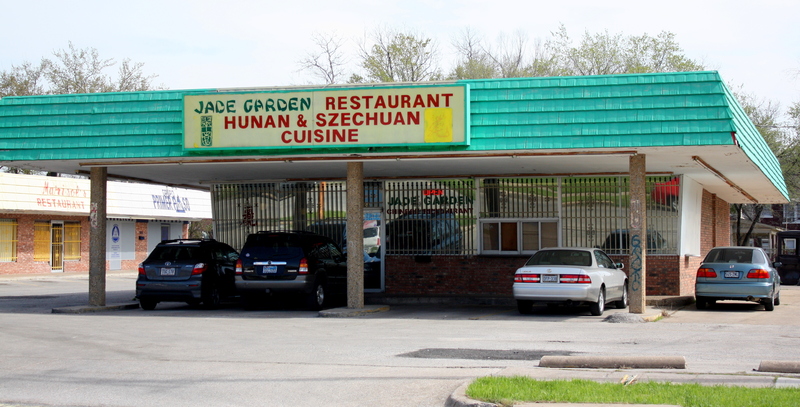 JADE GARDEN. 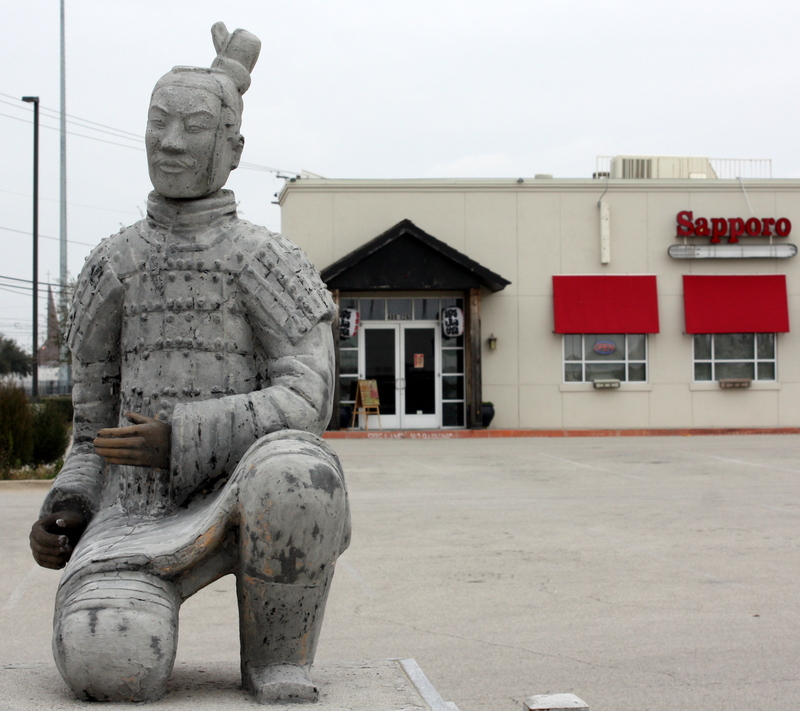 If there’s an inverse relationship between the flashiness of the restaurant and the quality of the food, then Jade Garden is absolute proof positive. Located in a building that looks like it was a Dairy Queen in a past life, the interior can be charitably described as ‘60’s kitsch. 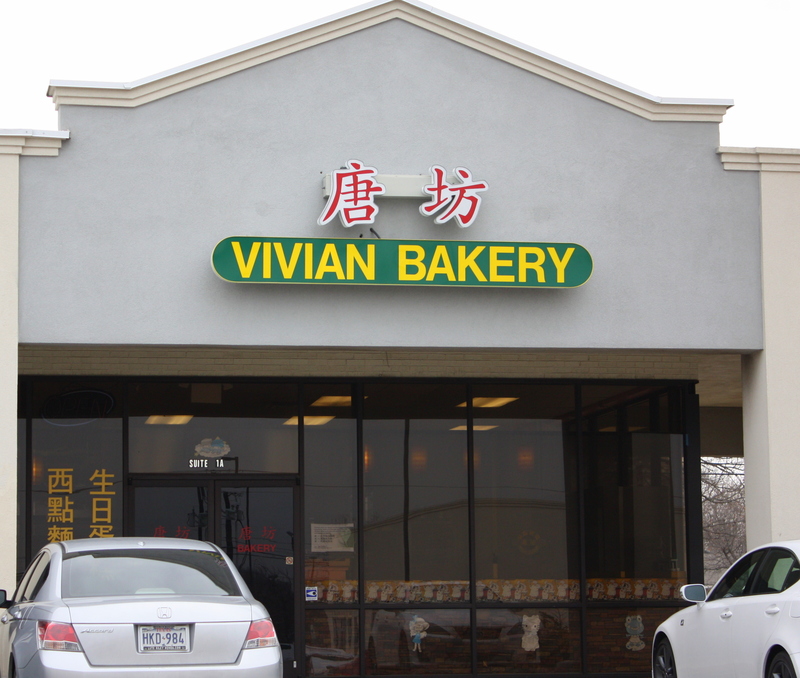 Located at 4800 Bryan and Fitzhugh, Jade Garden sits within eyesight of Jimmy’s Food Store (see my separate post “Dallas’s Italian Grocery“) in a neighborhood best described as transitional. There’s lots more here, though, than first meets the eye. 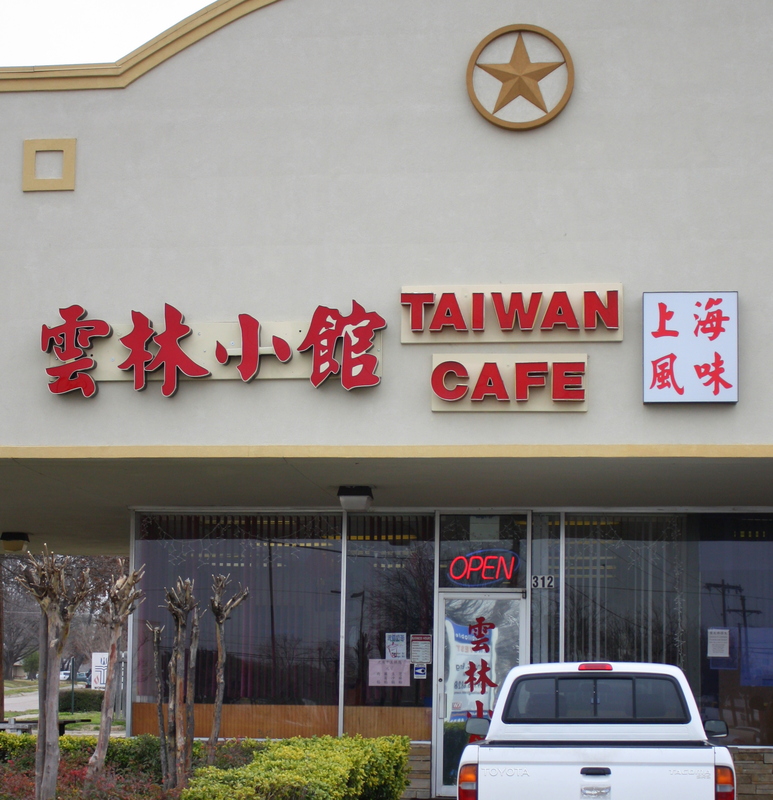 A first tip-off is that menu items are listed in English, Chinese, and Vietnamese and there are usually at least as many Asian diners as not. The menu’s so robust as to almost intimidate, but I always order from the whiteboard specials, usually after the owner walks me through my options. A favorite of mine is the Salt & Pepper Soft Shell Crab. 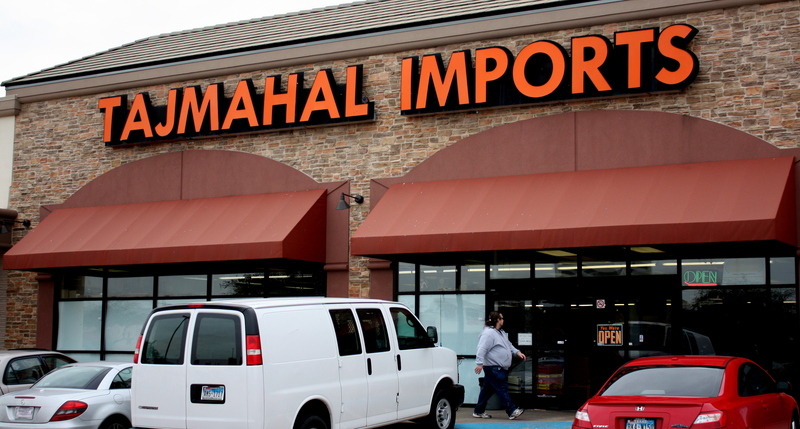 Trust me… the unassuming name doesn’t even begin to do it justice. 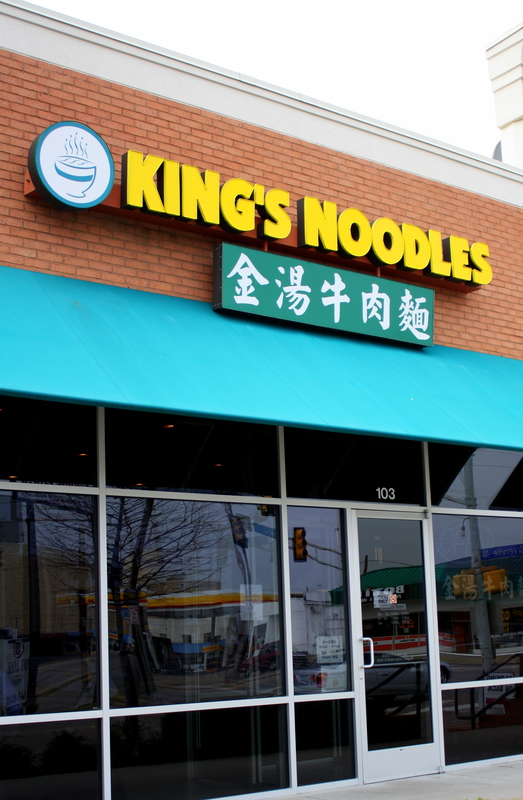 These unique eateries all have in common their focus on great food served in unpretentious surroundings by immigrant owners who take a very personal role in the delivery of customer satisfaction. They’ve all been around long enough to prove their timeless appeal and you’ll see fanatically-loyal customers regularly at their tables. 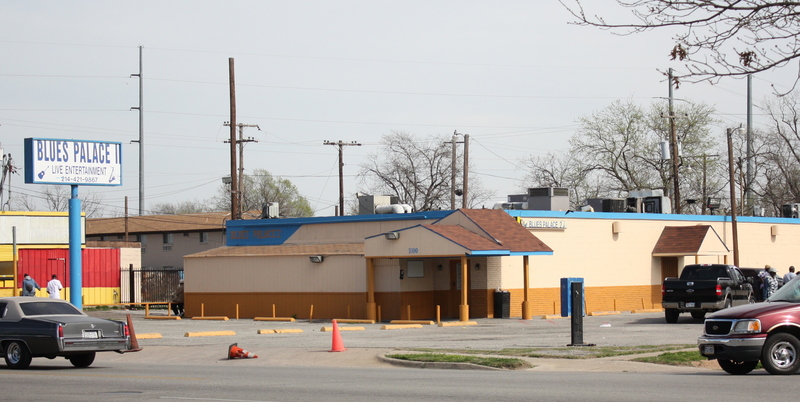 Quick… name another Dallas club or bar – besides the one pictured here -that hangs its hat on Blues music. If you’re stumped that’s because it’s a short, short list. 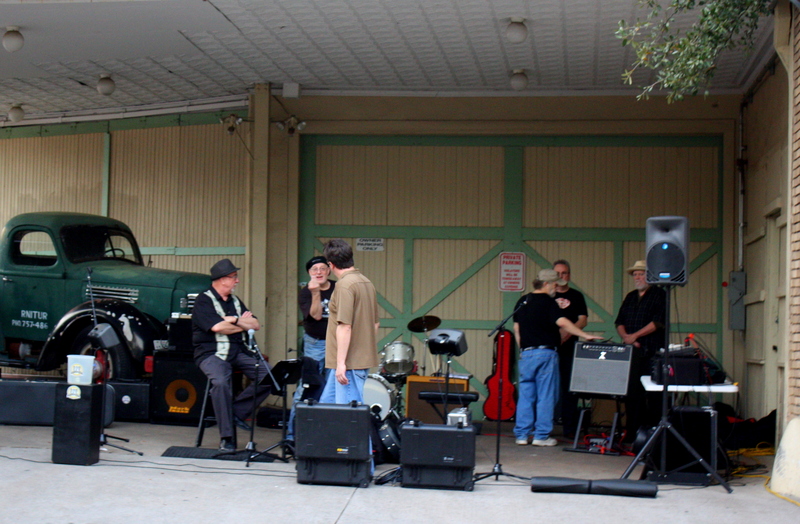 One of my few disappointments upon first moving to Texas was the absence of Blues music venues. This seemed such a paradox since more Blues musicians have come out of Texas than anywhere except the Mississippi Delta or Chicago. Between the World Wars railroads passing through Dallas made it a prominent way station for the Black migration to the industrial north. Before the Texas & Pacific Railroad laid track up Pacific Avenue on its westerly expansion and the Dallas rail station was moved to Reunion Station, tracks of the Houston & Texas Central railroad running north and south through Dallas passed through a terminal that long remained a popular stop-off in what came to be known as Deep Ellum. 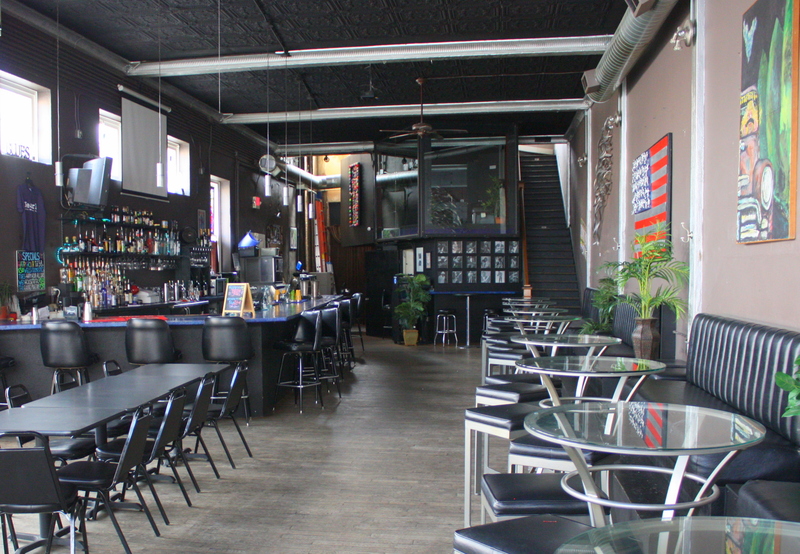 Beginning in the 1920’s and continuing through the 1930’s, Deep Ellum was the site of an burgeoning cluster of nightclubs, saloons and domino parlors that also served as venues for Blues musicians. 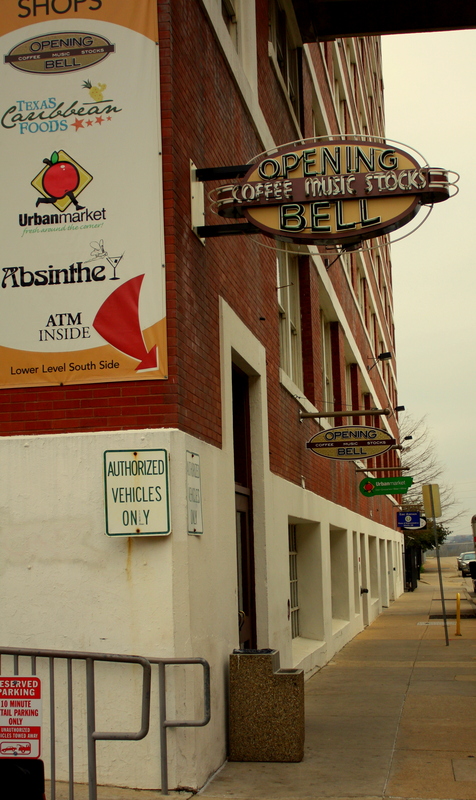 It was rivaled only by Beale Street and Bourbon Street. 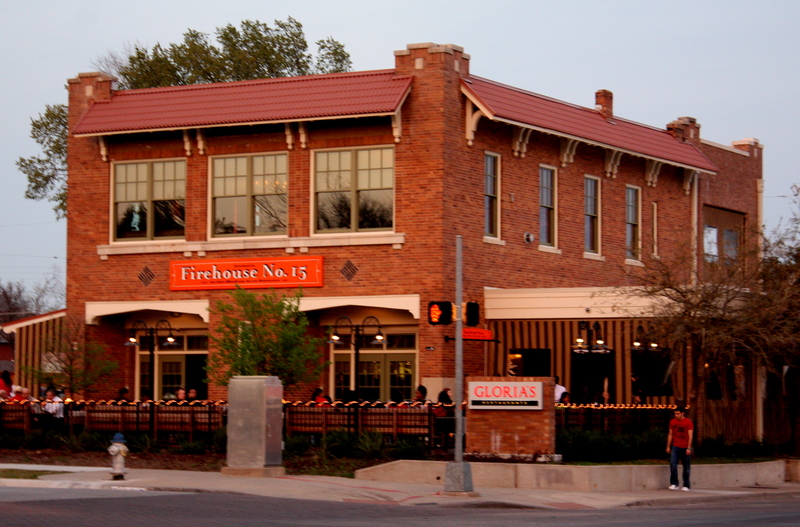 Blind Lemon Jefferson, Huddie “Leadbelly” Ledbetter, and Sam “Lightnin’” Hopkins were only a few of the notables who often performed in Deep Ellum and who earned for Dallas a reputation as the “one of the hottest cities in the South”. 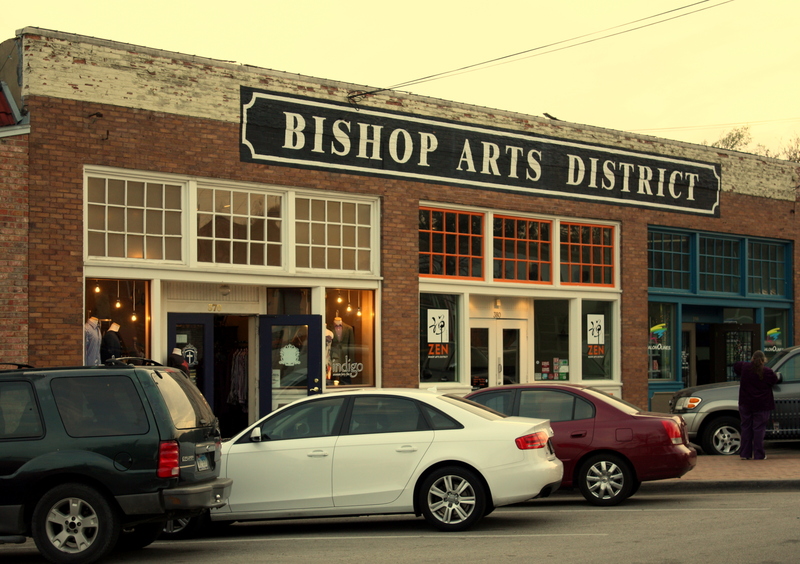 Deep Ellum was also a place where up-and-coming Blues performers polished their art before moving on to Kansas City, Chicago, or New York City. 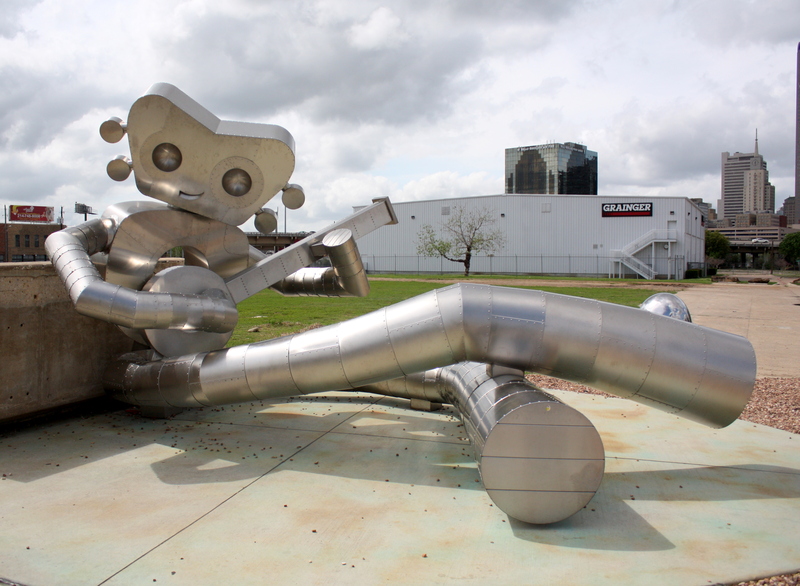 D.A.R.T.’s Deep Ellum station now stands where the Good-Latimer underpass once featured inspired graffiti art, and across from it curbside sits a statue of a banjo player which is one of the few remaining testaments to Deep Ellum’s rich Blues heritage. There were so many Blues performers in Dallas in those years that recording companies regularly came here to scout talent. 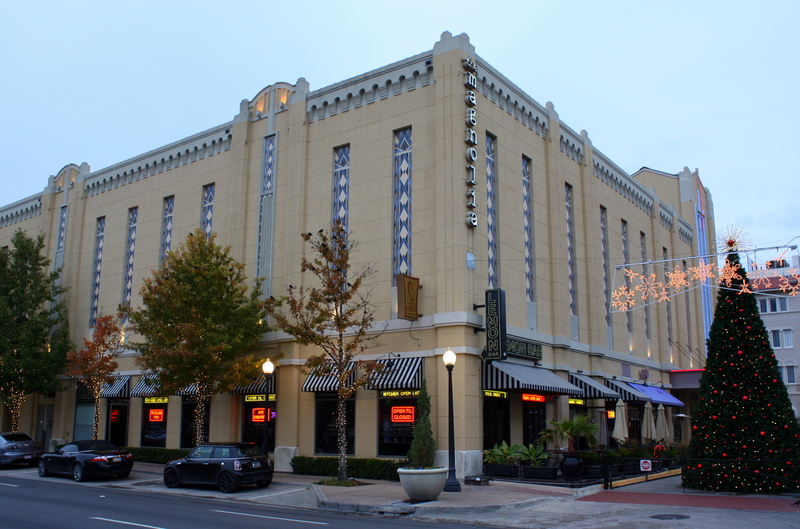 In 1937, Blues legend Robert Johnson recorded 13 tracks in a building which served as a film distribution point for Dallas movie theaters, and which still stands at 508 Park Avenue. 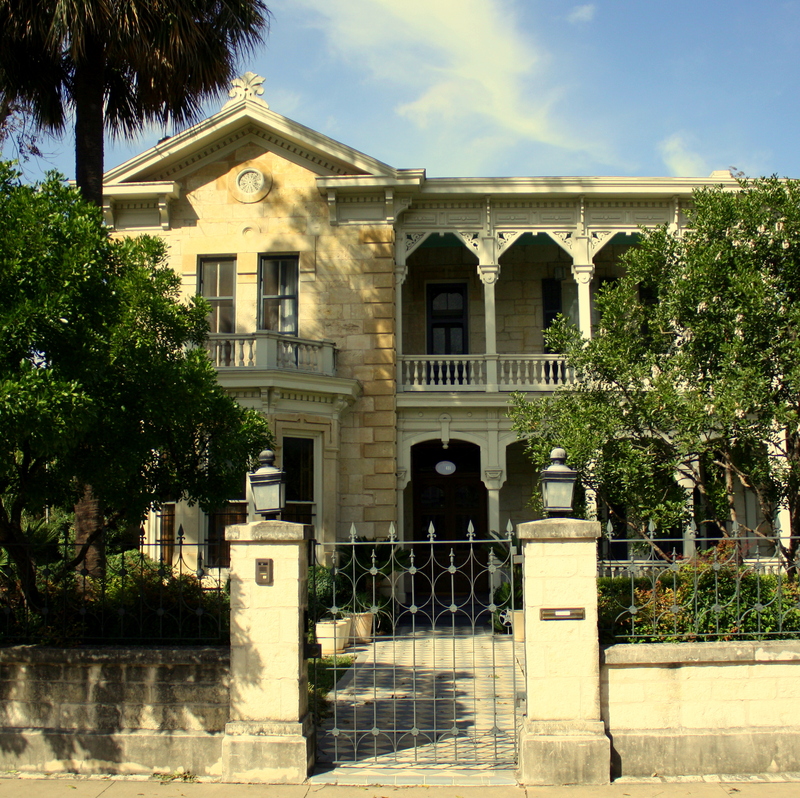 (Johnson’s only other recording session occurred the year before in San Antonio’s Gunter Hotel.) 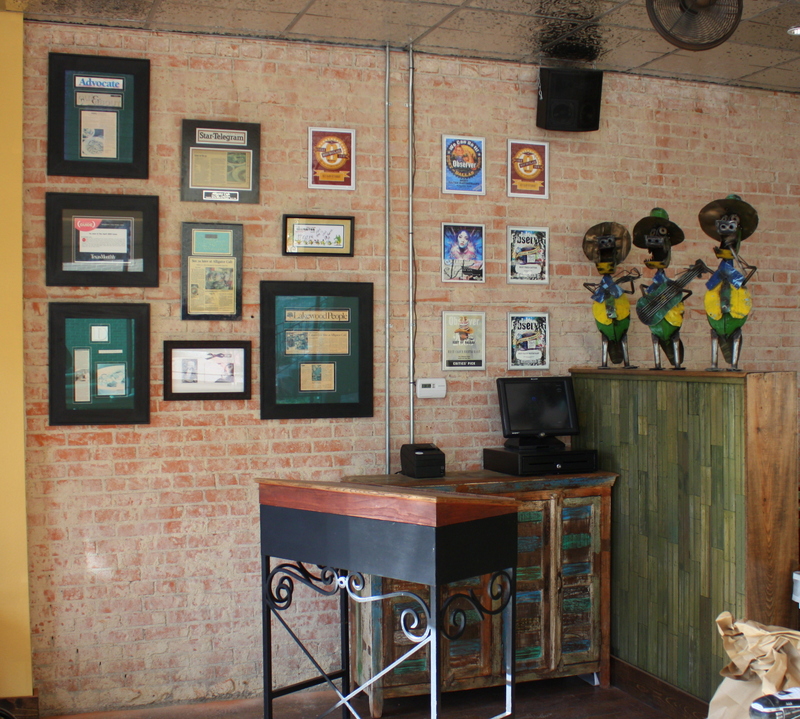 The deserted building on Park has fallen into disrepair and its current owner, repeatedly cited for code violations, has on more than one occasion been thwarted by Blues aficionados from having it demolished. Its future is still in limbo. 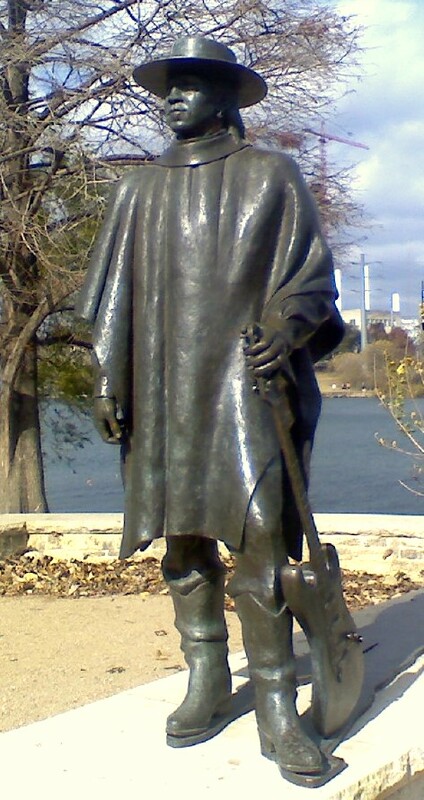 I don’t know if Stevie Ray Vaughn adopted Austin or if it was the other way around, but the well-known association often obscures the fact that Stevie Ray was from Dallas’s Oak Cliff neighborhood. 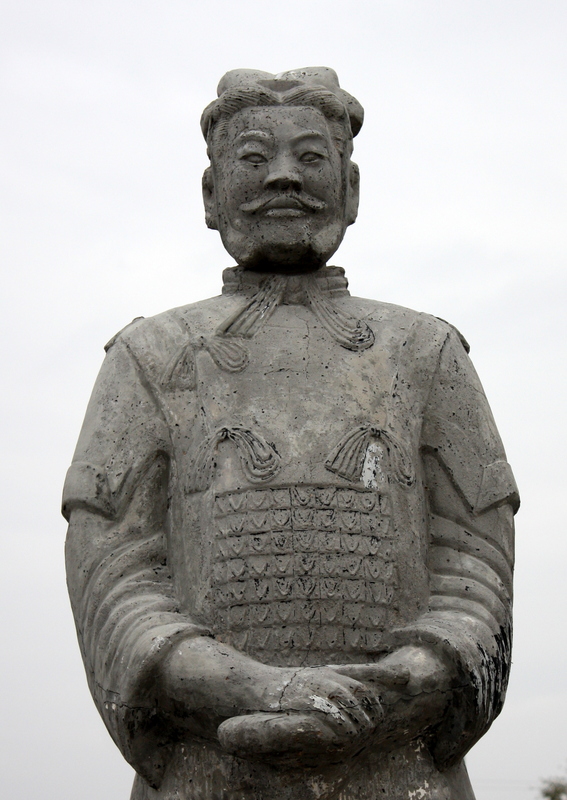 This statue sits on the walking trail not far from Austin’s Zilker Park along the riverfront. 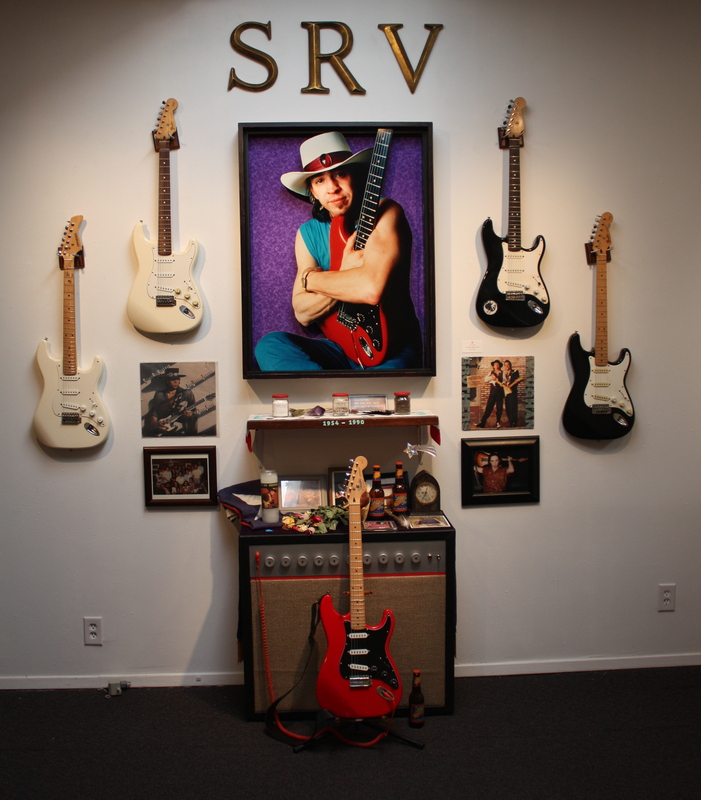 For a time there was a standing display of SRV memorabilia in Dallas’s Southside-On-Lamar, but it’s disappeared. 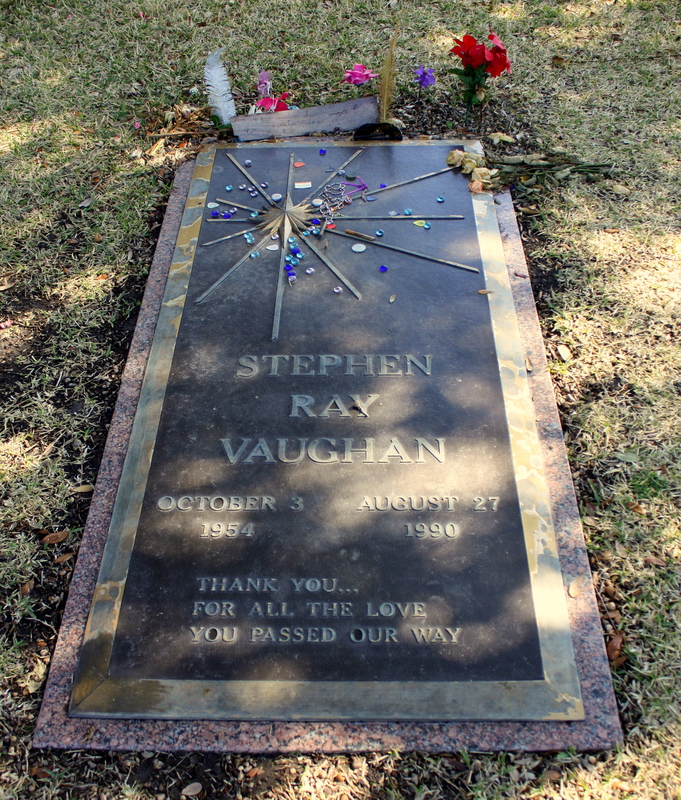 I know of no memorial to Stevie in Dallas other than his tombstone at Laurel Land Cemetery. I can’t resist, though, sharing a photo of a Dia de los Muertos alter dedicated to Stevie Ray and seen at the Bath House Cultural Center’s Day of the Dead exhibition in 2010. 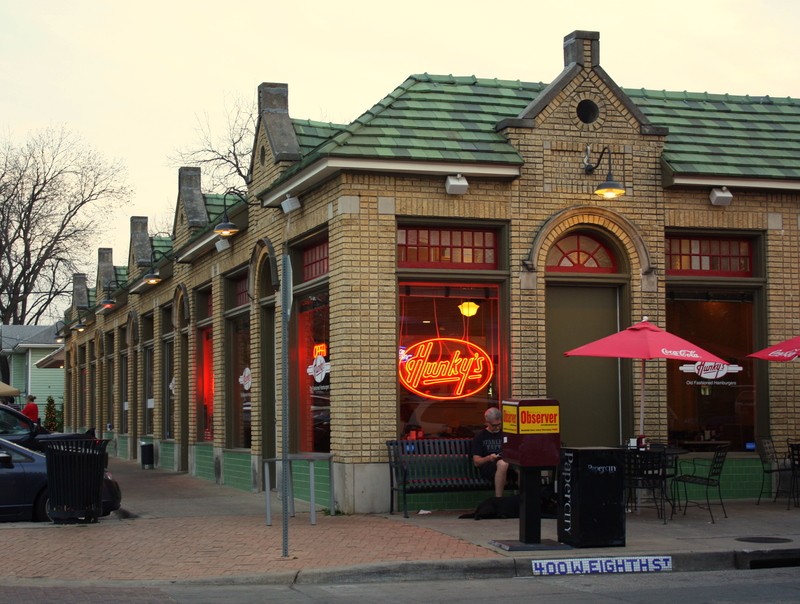 All of this brings us back to the question: Where in today’s Dallas can you find Blues-dedicated venues? 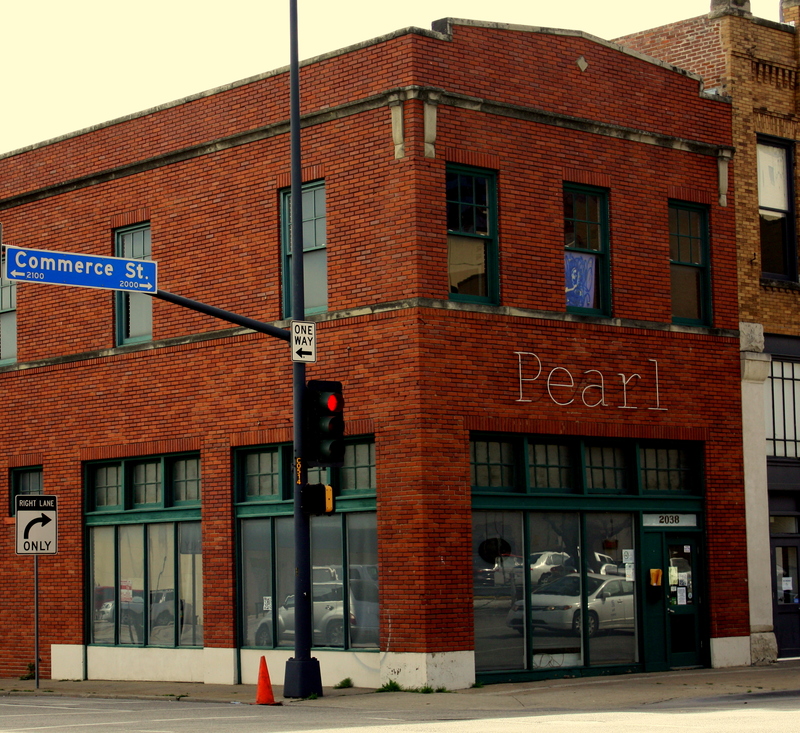 Pearl @ Commerce. 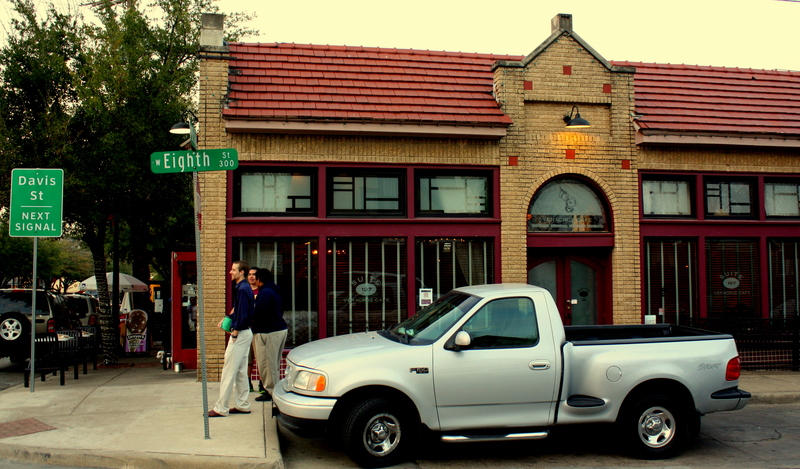 This stands on the edge of Downtown at 2038 Commerce, not a mile from Deep Ellum and a few blocks from 408 Park. There’s metered street parking and nearby pay parking runs $5, but it’s also only a couple of blocks from DART’s Pearl Station. 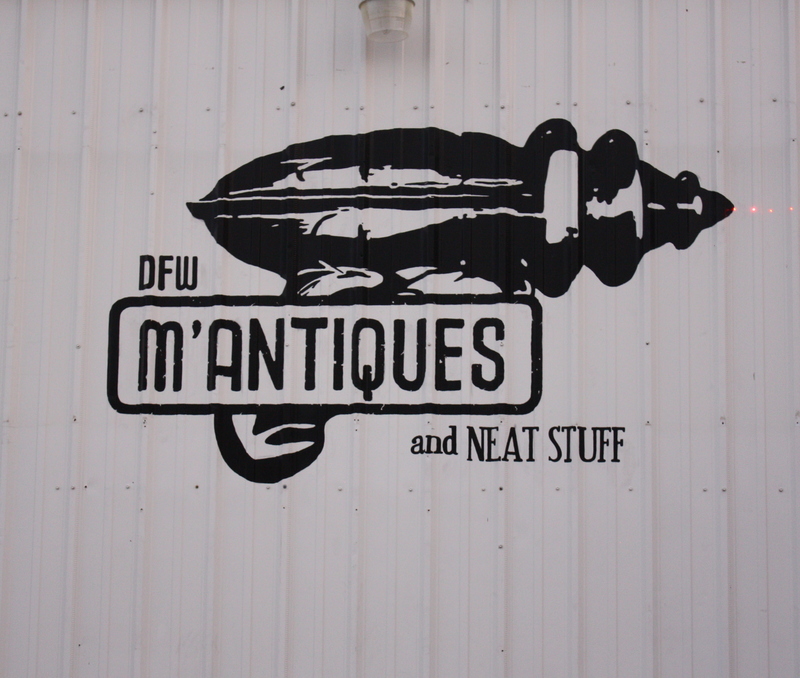 Closed briefly last year, it’s now back in operation and well worthy of a visit. 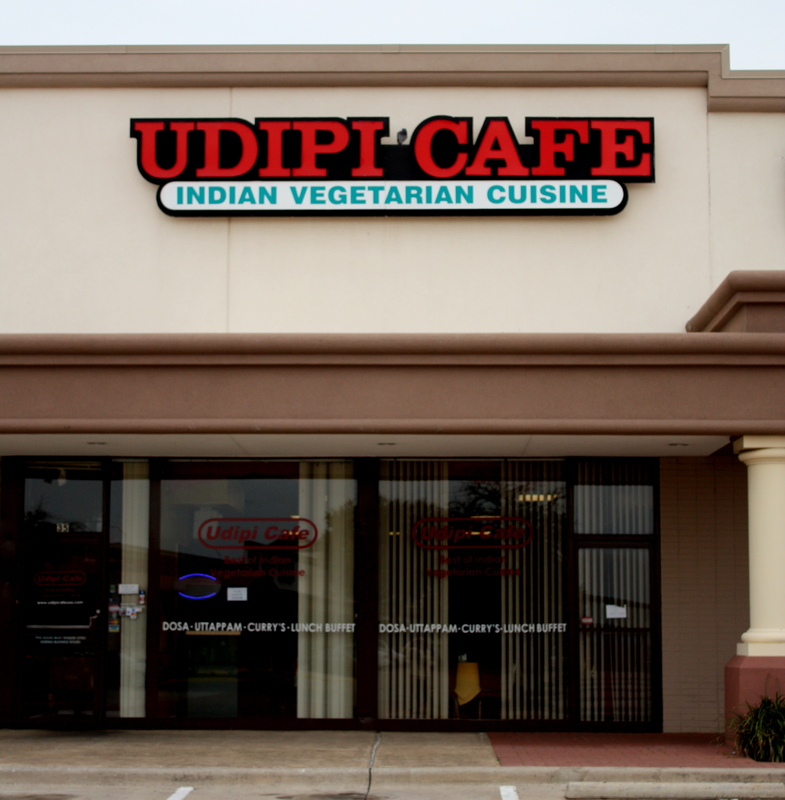 There’s open seating downstairs and a reservation-only V.I.P. lounge on the mezzanine level. 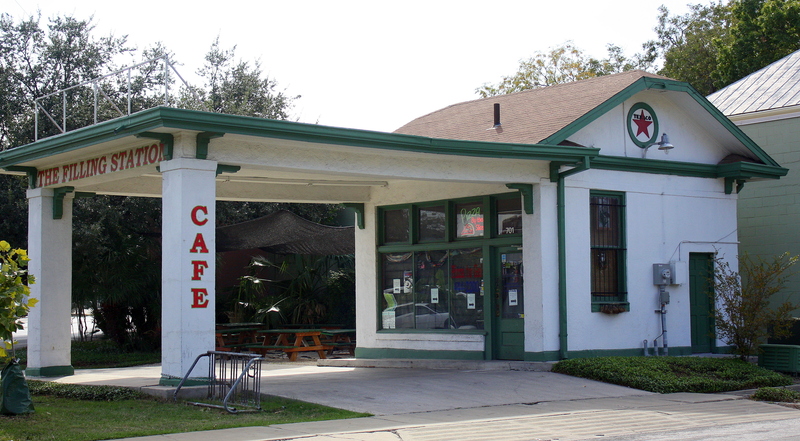 Alligator Café. 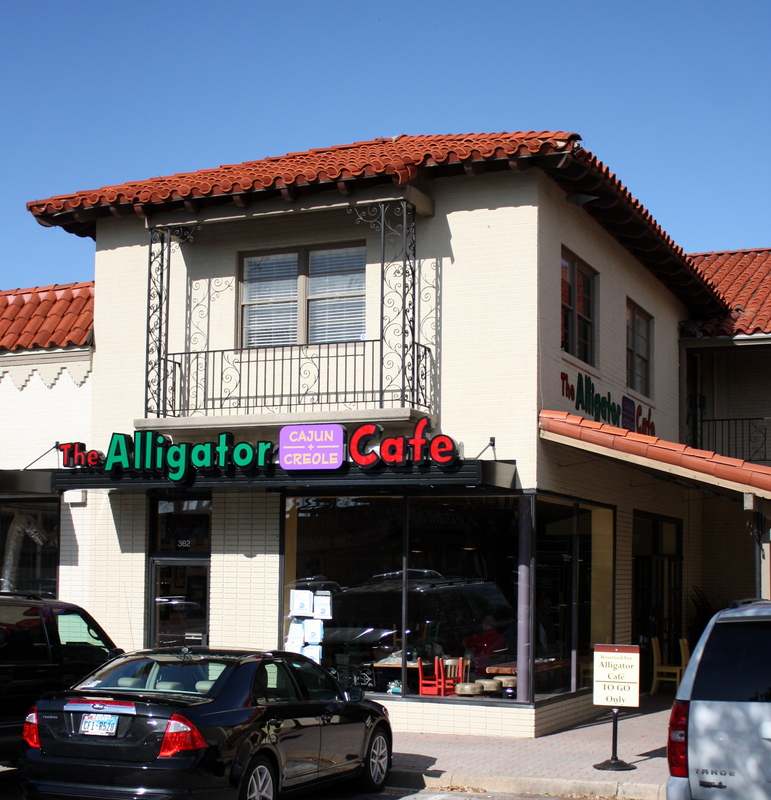 Alligator Café recently relocated to the Casa Linda Shopping Plaza (the northeast corner) from its former site on Live Oak. 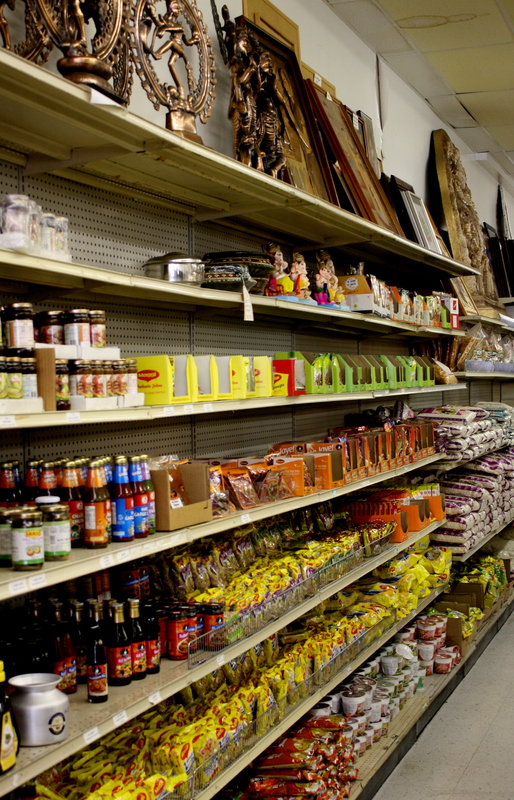 There’s a Cajun ambiance here and an authentic menu to go with it. (Boudin, fried pickles, oysters, catfish and, yes, fried alligator tail). 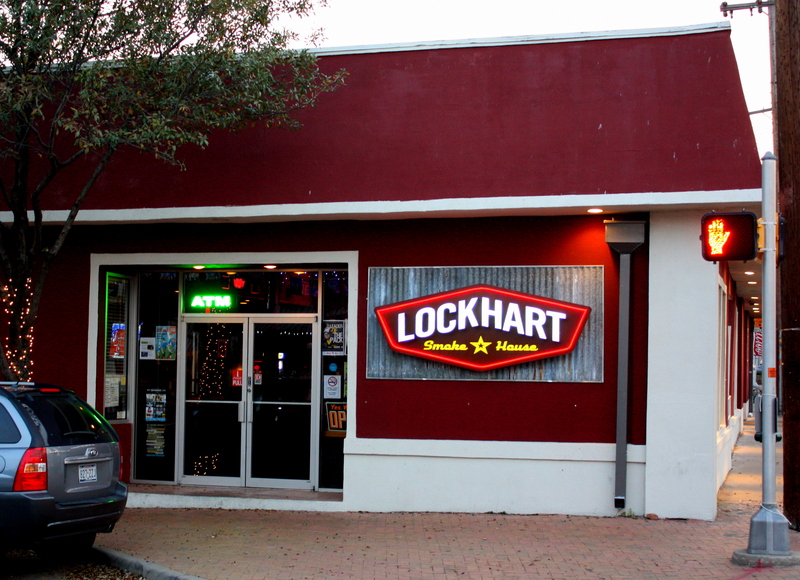 This is an intimate little venue that features Texas style acoustic blues Thursday through Saturday. Bedford Blues & BBQ Festival. I’ve attended this on each of the past two Labor Day weekends, and have found it not only to be one of the Metroplex’s better organized outdoor musical events, but also a place to see some great talent: Buddy Guy last year and Robert Cray the year before. This year’s headliner is Keb’ Mo’. 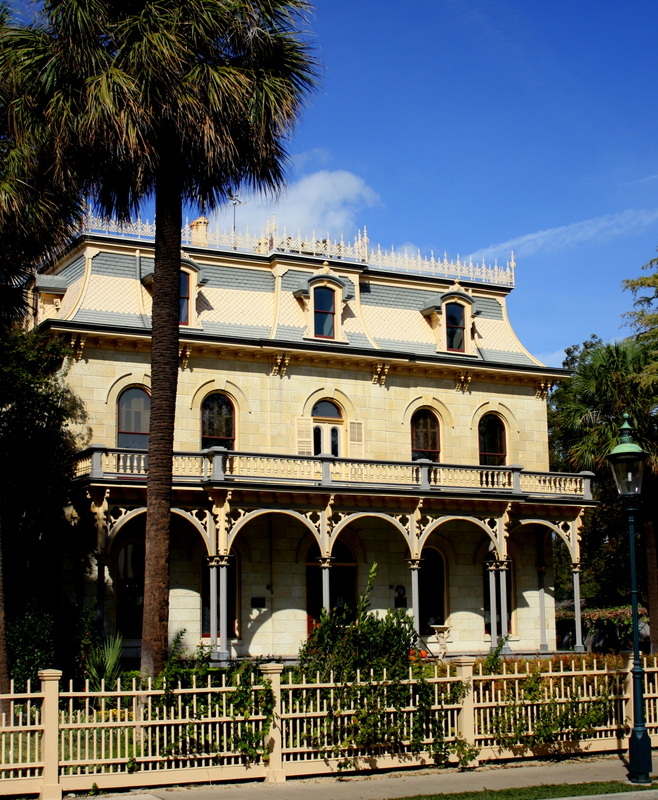 Each year millions of tourists visit San Antonio’s Seaworld or Fiesta Texas theme parks and its Riverwalk without ever realizing that its uniquely charming King William Historic District is less than a mile from the Alamo. 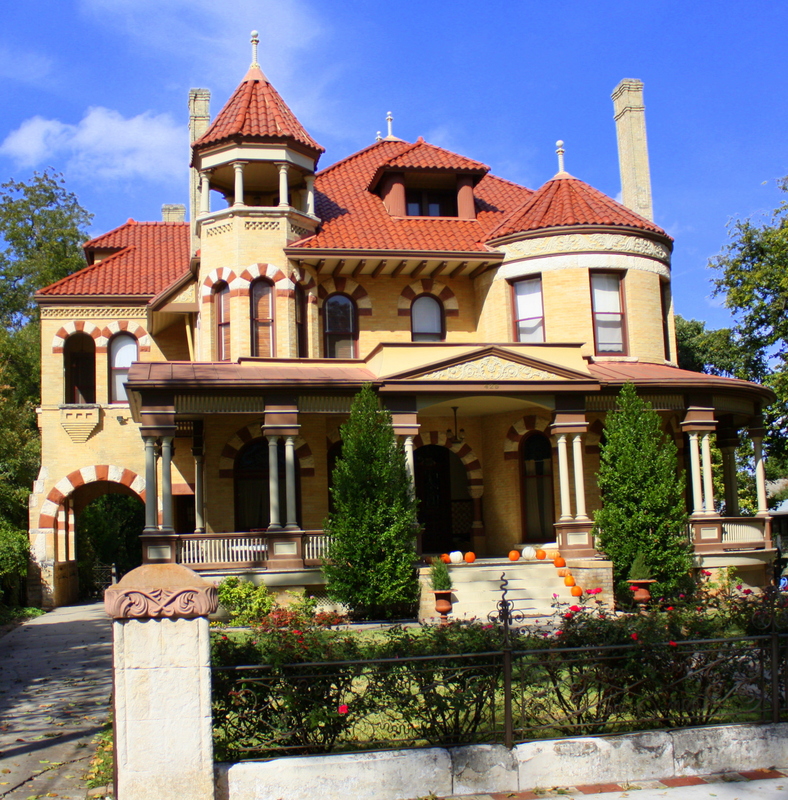 King William is a neighborhood of elegant homes dating back to the late 1800’s, when prosperous immigrant merchants from what was to later become Germany made it their home. 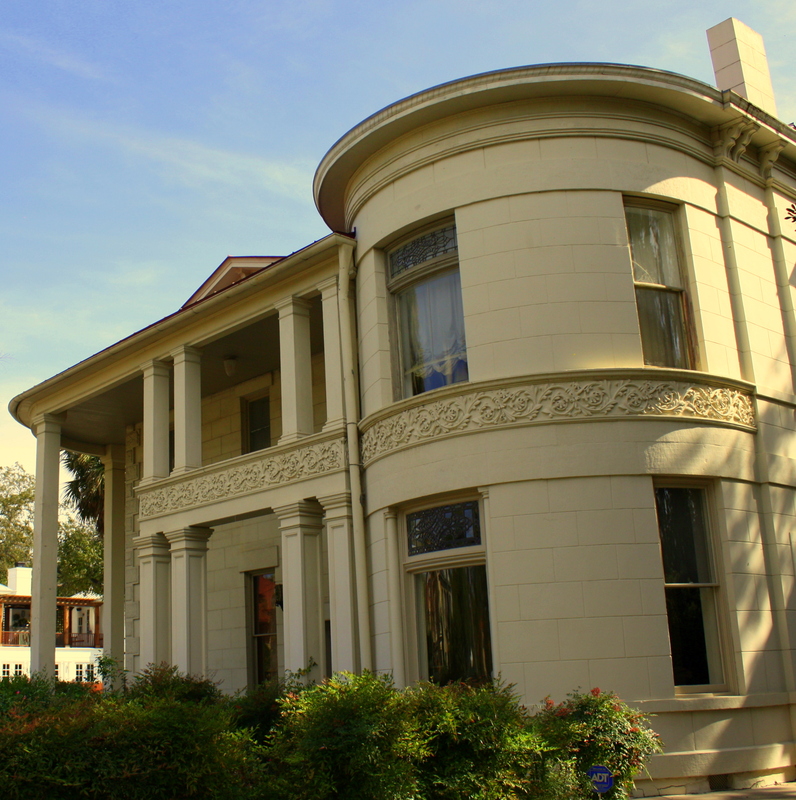 Much of it has been renovated in the past two decades following a long period of decline. 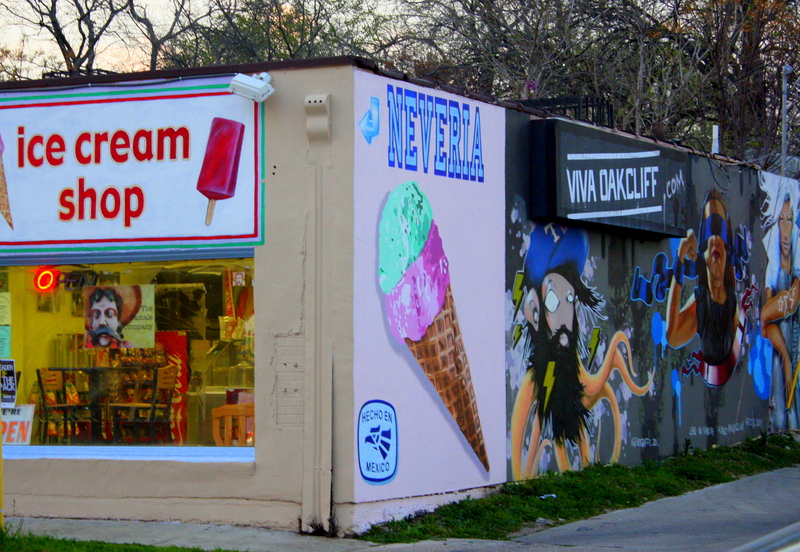 The District can be reached from downtown by following the Riverwalk south, but I usually opt instead for a healthy dose of neighborhood atmosphere by walking through La Villita to the intersection of Alamo and St. Mary Streets. 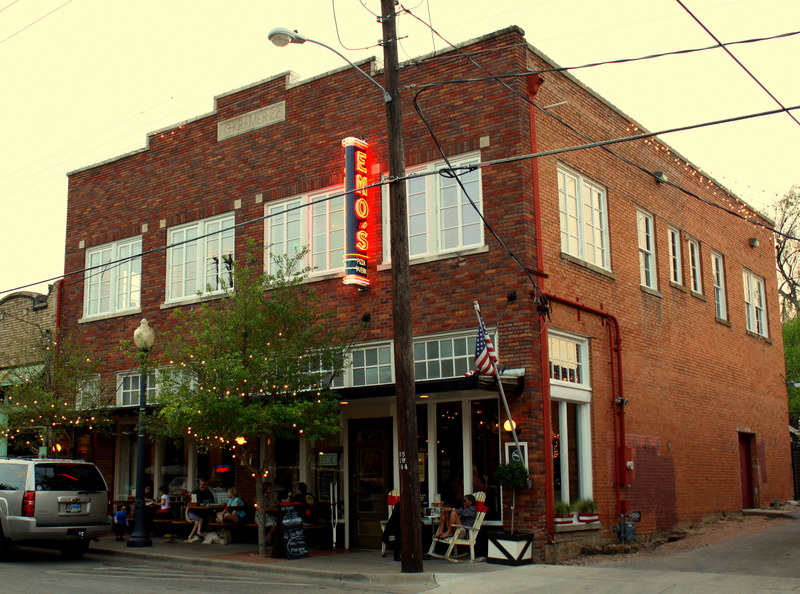 That’s where Rosario’s Mexican Café & Cantina sits behind an historic storefront at the hub of a collection of restaurants, bars, and galleries. 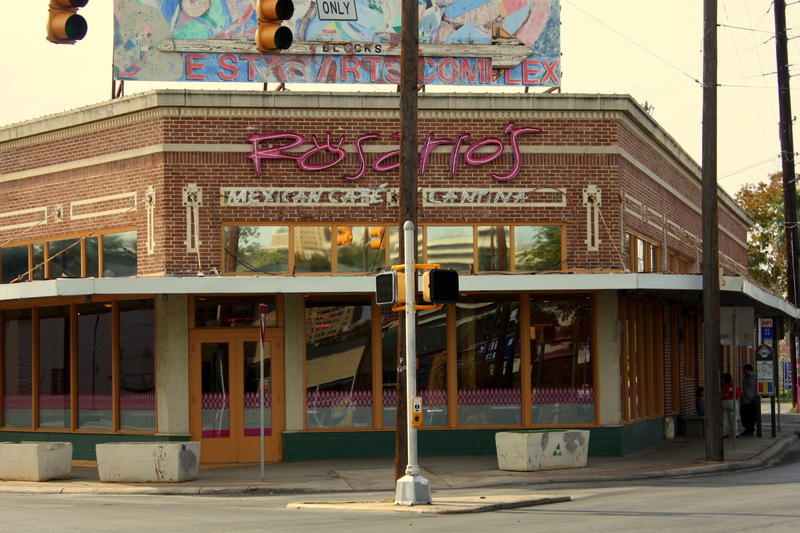 Rosario’s serves authentic Mexican (not to be confused with Tex-Mex) food in a fun atmosphere full of neon and great people-watching; San Antonio residents come here from all parts of the city. 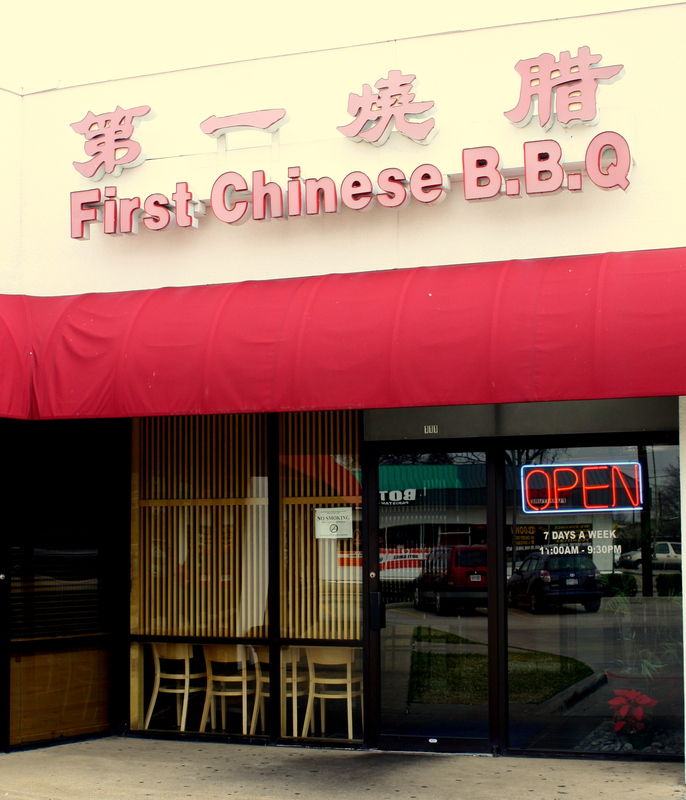 This place has been a favorite of mine since it first opened in a location just down the street, and a meal here is a ritual part of my every visit to San Antonio. 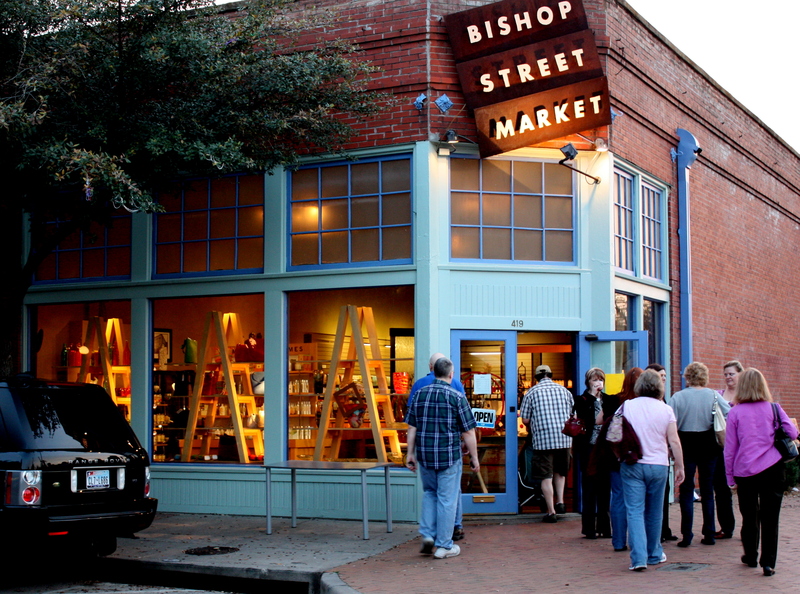 On most Friday and Saturday nights, when there’s often live music, a waiting line spills onto the sidewalk. Fortunately, the place is cavernous and the line moves quickly. 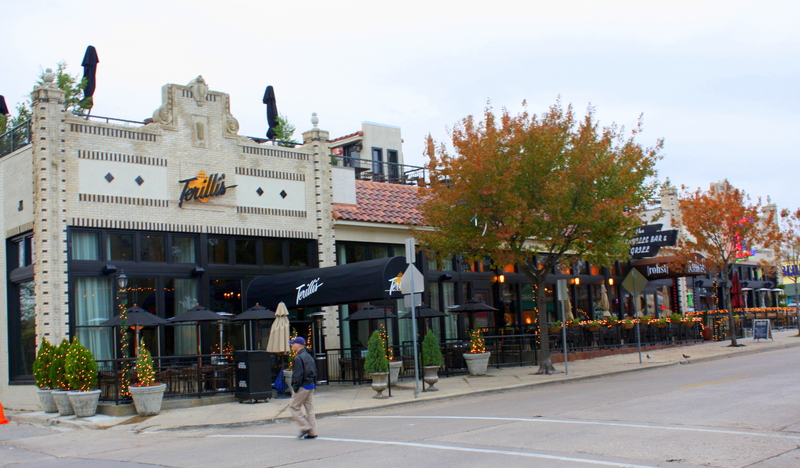 The historic flavor of this little business district also survives at the whimsical Filling Station a block to the north. 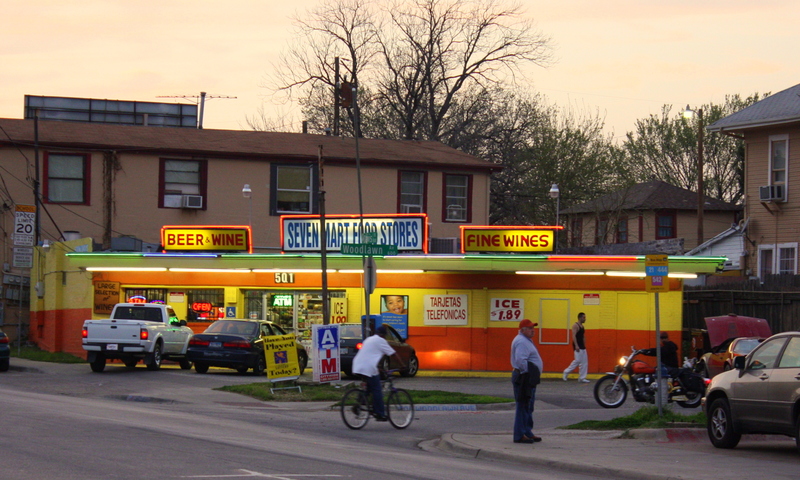 Across the street and to the south is Tito’s Mexican Restaurant. 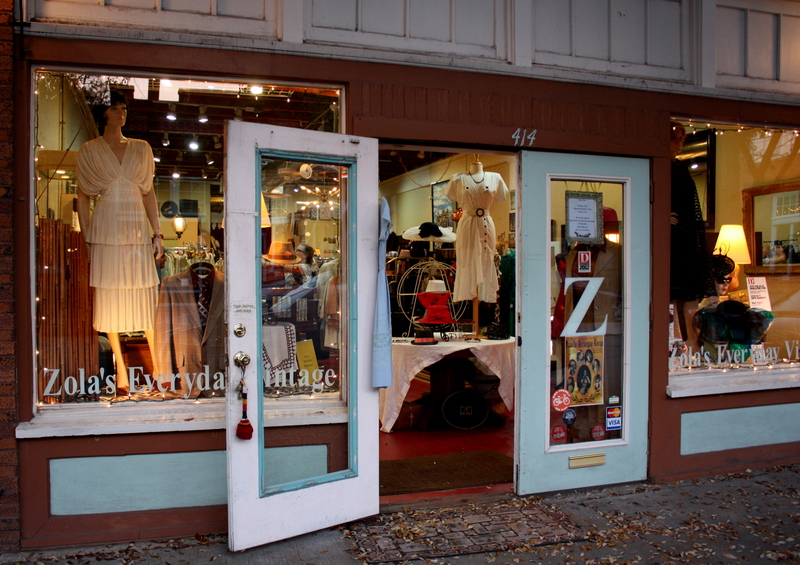 A turn into the streets behind it ushers sidewalk strollers into to quiet neighborhood of broad streets that frame two dozen blocks packed with delightful architectural images of an even earlier time. 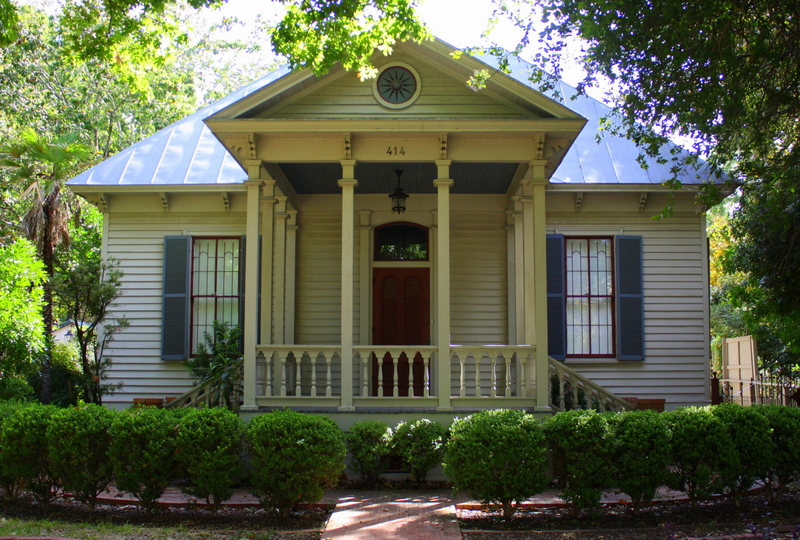 At the heart of King William is the community of Germans who settled Texas in large numbers beginning in the 1840’s. 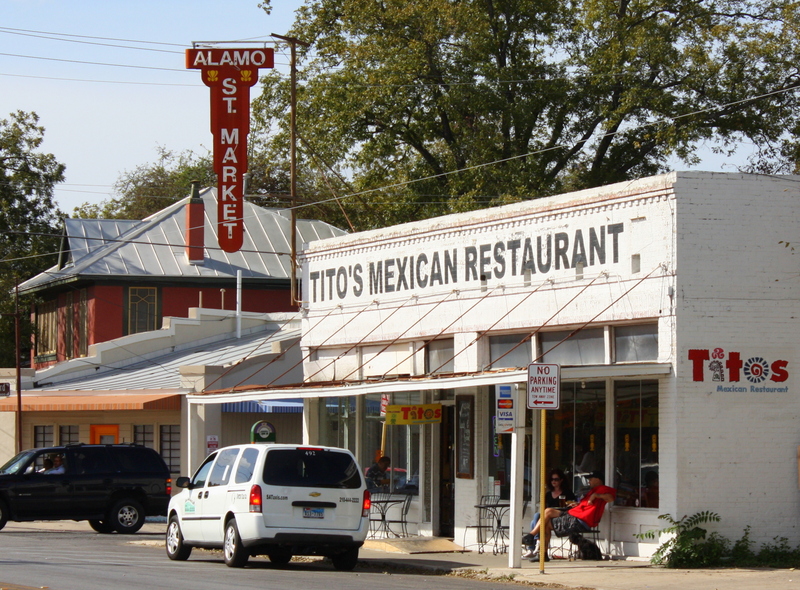 Their traditions of brewing, sausage-making, and music fueled a fusion of American, Mexican, and German cultures unique to Central Texas. 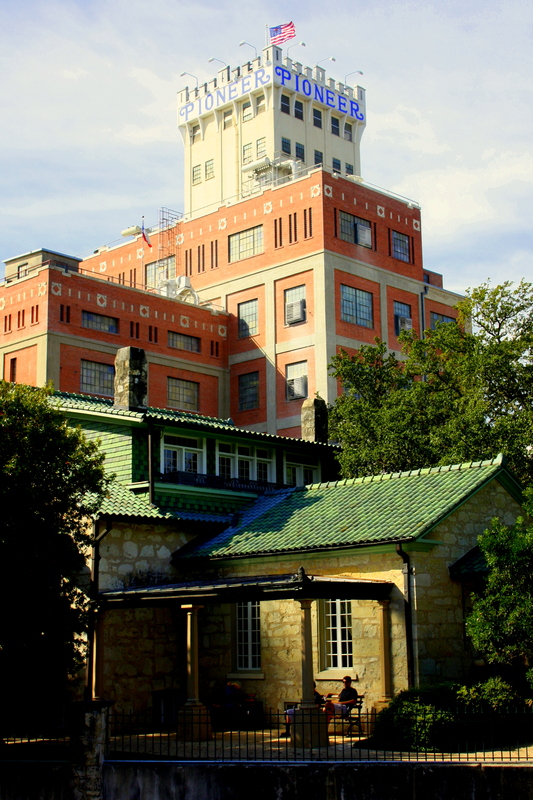 Within a generation of the Germans’ arrival, the ablest among them owned San Antonio’s largest flour mill, meat packing house, and breweries. 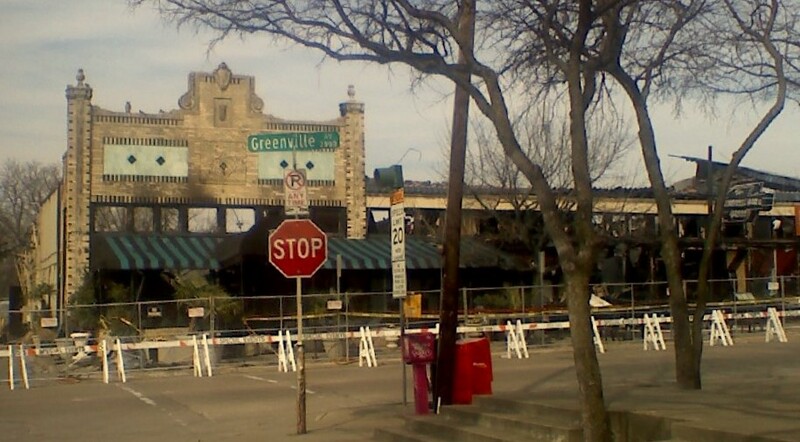 Their newfound prosperity led them to create a residential compound convenient to downtown along a stretch of the San Antonio River. 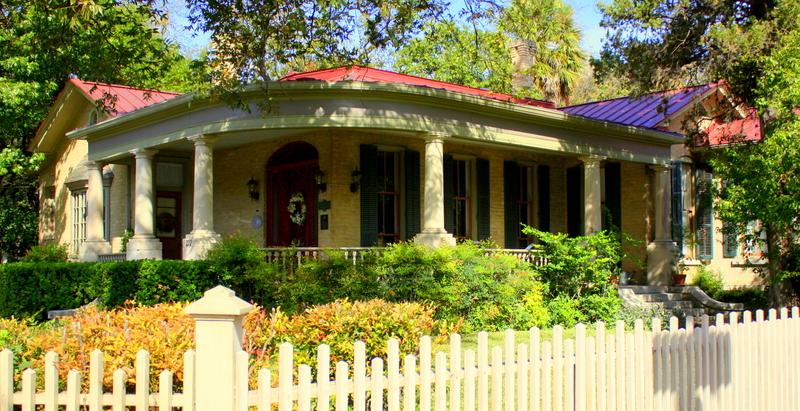 While homes in parts of King William are modestly charming and their architecture distinctly Texan, they become more elegantly extravagant with each passing block. 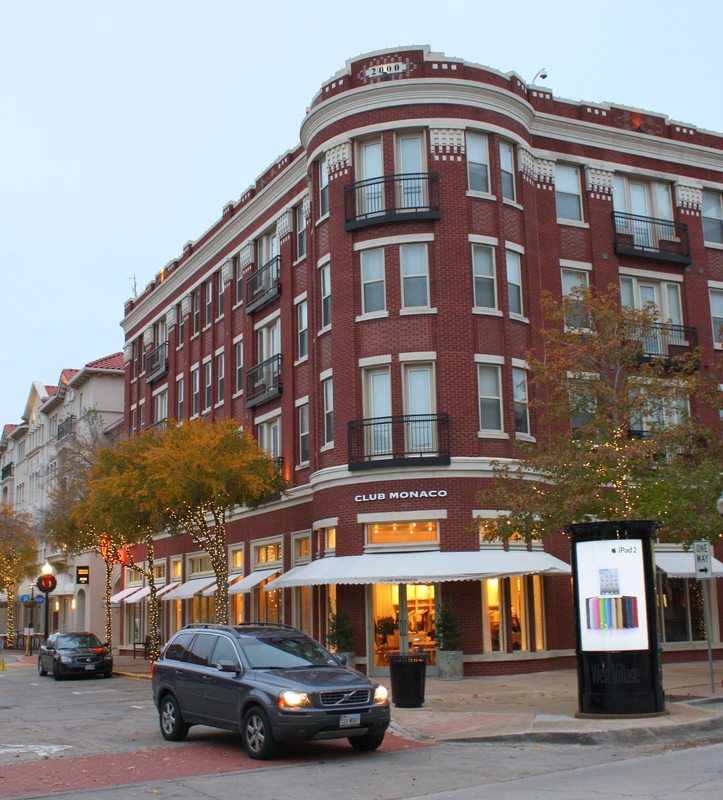 There is an eclectic mix of architectural styles, and bed-and-breakfasts scattered about the neighborhood present a great alternative to downtown’s mega-hotels and cheesy motels. The tower of the old Pioneer Flour Mill stands watch at the southernmost end of King William. 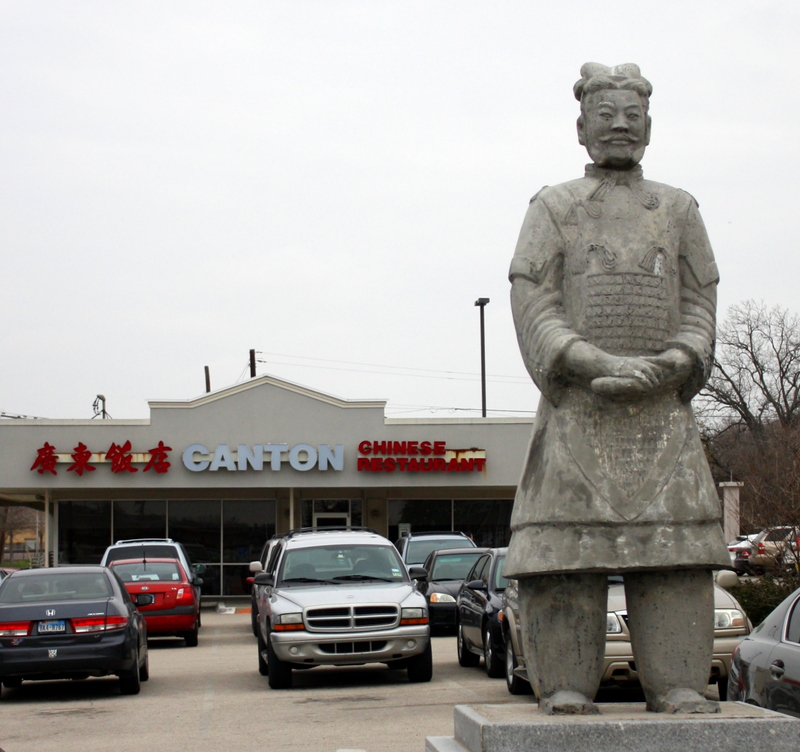 The name of the Guenther family which owned it survives today both as the name of the District avenue that passes it, and as the name of the Guenther House restaurant which sits in the tower’s shadow. 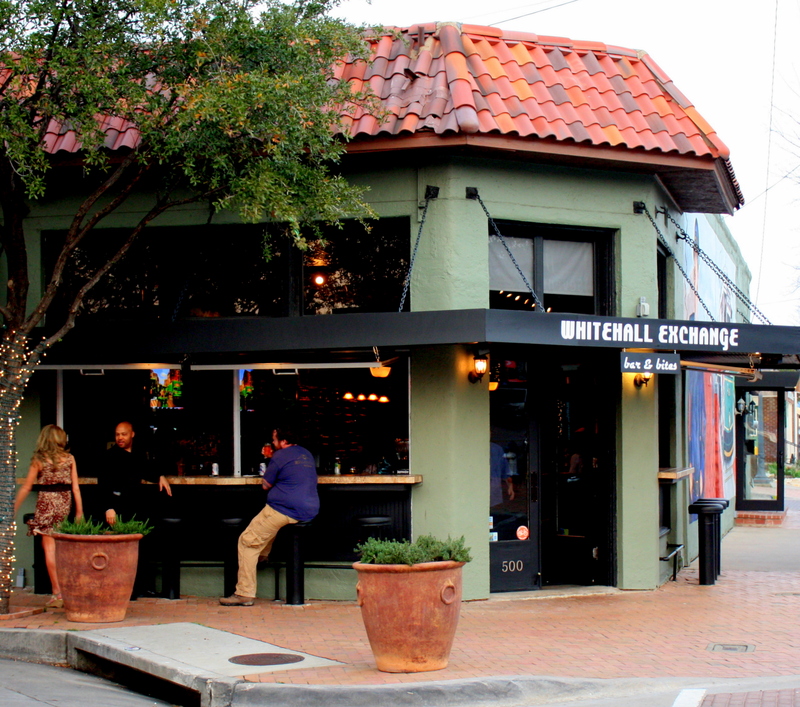 The King William District is part of artsy, funky Southtown, and if you’ve still got spring left in your step after walking King William you may want to wander less than a mile further south on Alamo, where the Blue Star Brewing Company serves up artisan beers right next door to the Blue Star Contemporary Arts Center. 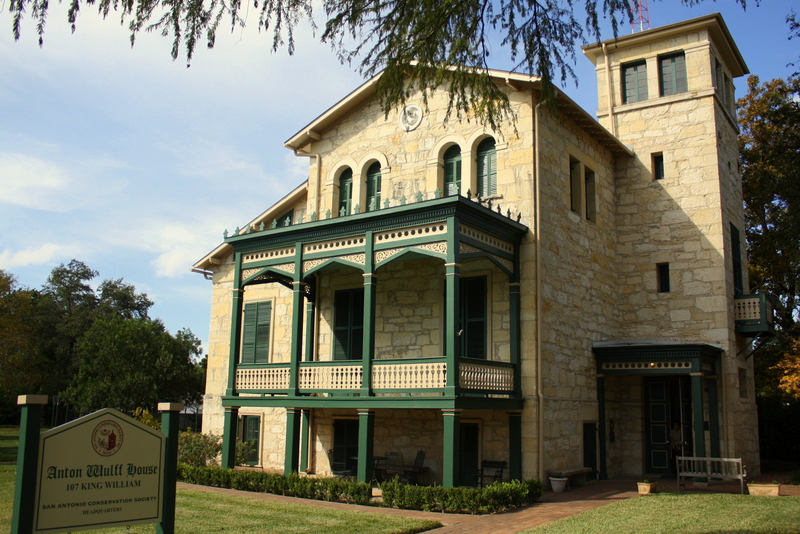 Even further south, if not walkable, is the San Antonio Missions Trail, and if you, too, were disappointed by the Alamo mission’s unassuming profile and footrpint this is where you’ll find Franciscan missions that can hold their own with the missions of Southern California. 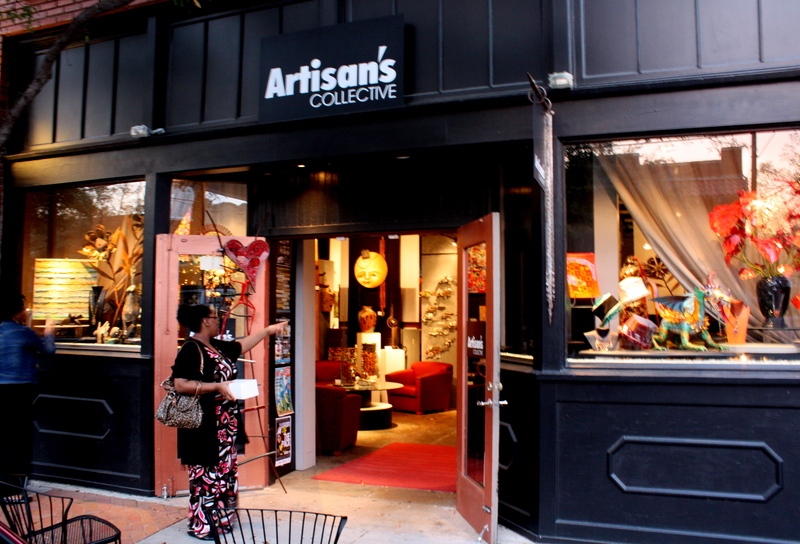 If your visit is timed to include a First Friday of the month, street vendors selling art and jewelry join Southtown’s mix of galleries, art spaces, vintage stores, and live music fills the air. 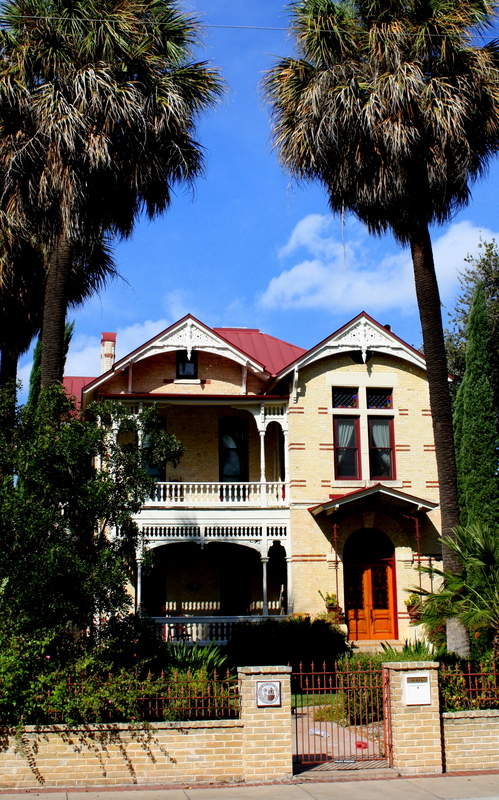 Whether in daytime or nighttime, a trip to San Antonio without visiting King William is incomplete. 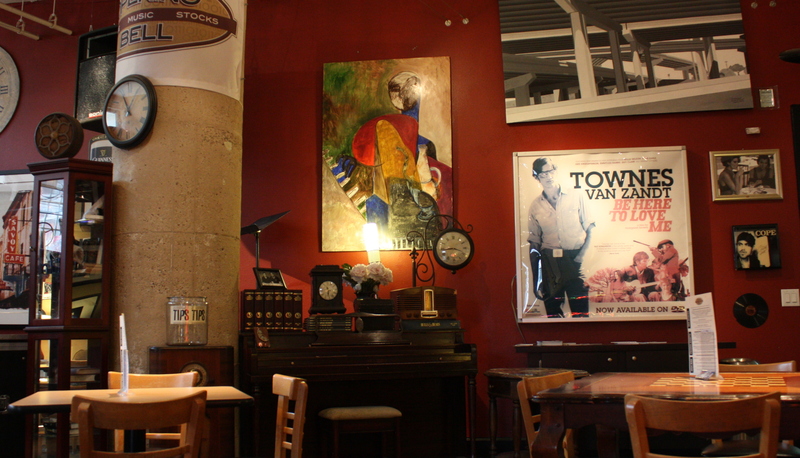 Remember when Starbucks was an honest-to-goodness coffeehouse? Back when the help had enough tattoos that their flesh looked like wallpaper, enough piercings to set off an airport metal detector at 50 paces, and just enough of that cooler-than-thou attitude? Back when people were still reading newspapers? Maybe it was when Starbucks started selling more sandwiches than music CD’s, or when they began offering food-and-beverage “pairings” (a Happy Meal by any other name…). Maybe it was when they began pumping out more frozen drinks every summer than a Dairy Queen, or when you couldn’t indulge yourself in the coffeehouse experience because the tables were all taken by not-actually-customers seeking only free wi-fi. 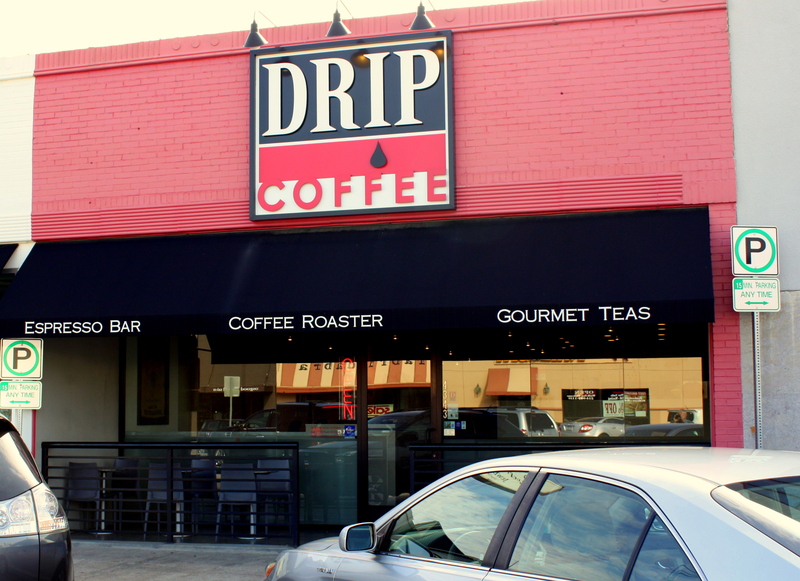 DRIP COFFEE is located in the Park Cities on the south side of Lover’s Lane just east of the Dallas Tollway. 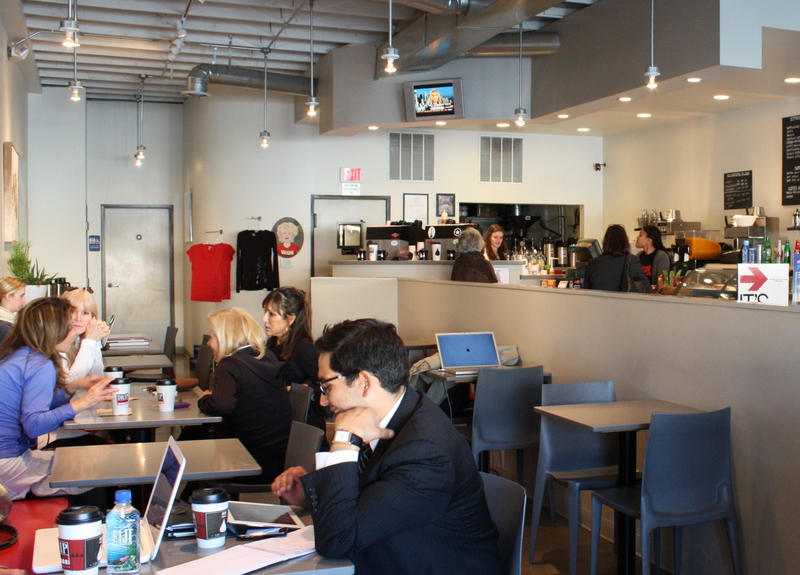 It has a Euro-contemporary ambiance that exudes passion for coffee. 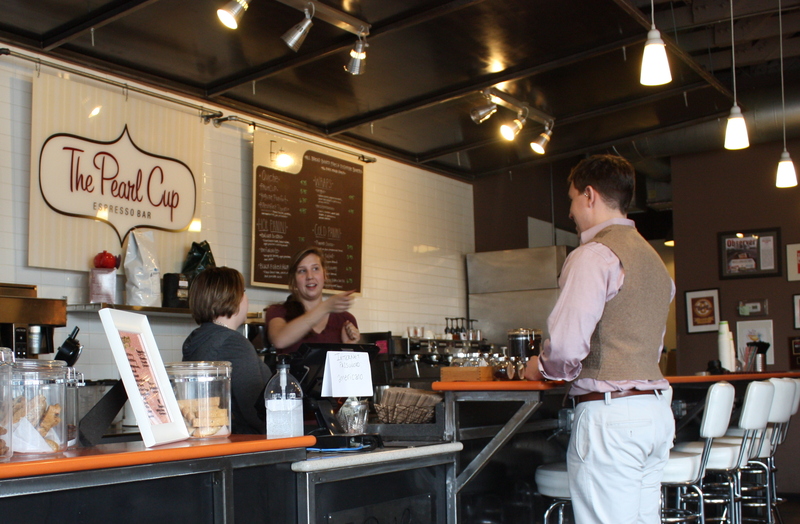 Foodservice is limited to light fare that complements coffee. 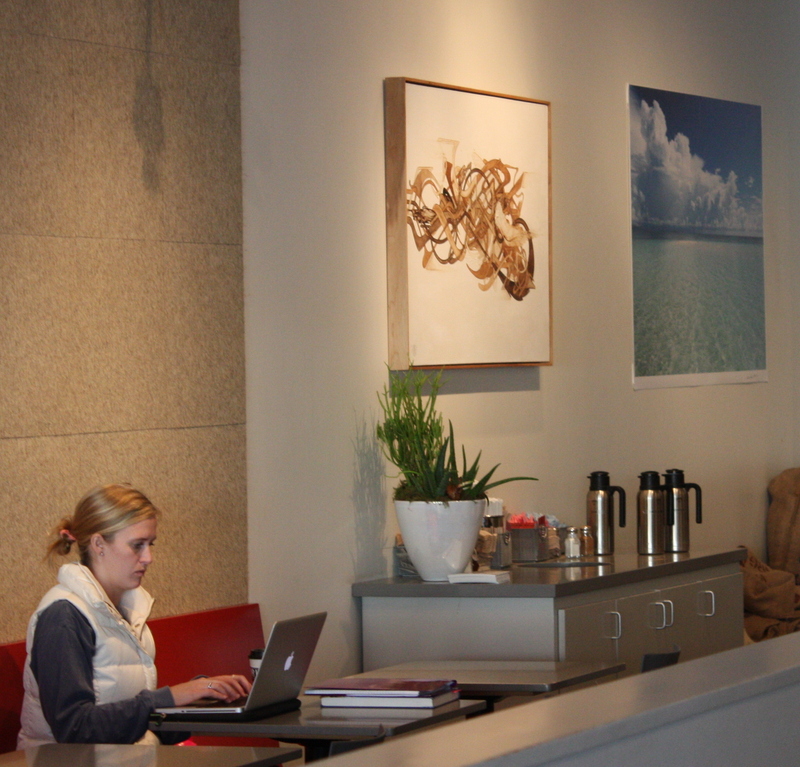 The walls are hung with contemporary art, which makes it feel as much like a gallery as a coffeehouse. Its bright, uncluttered modern minimalism generates a tranquility all its own. 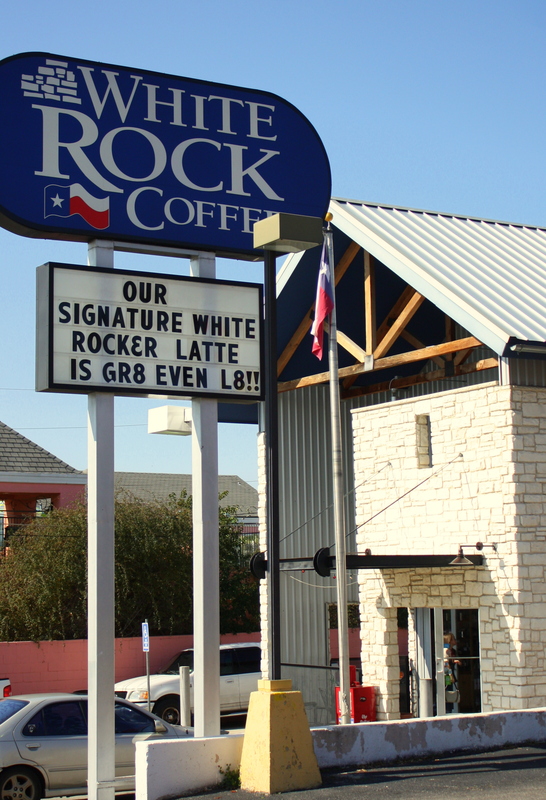 WHITE ROCK COFFEE is located on East Northwest Highway just east of Audelia. 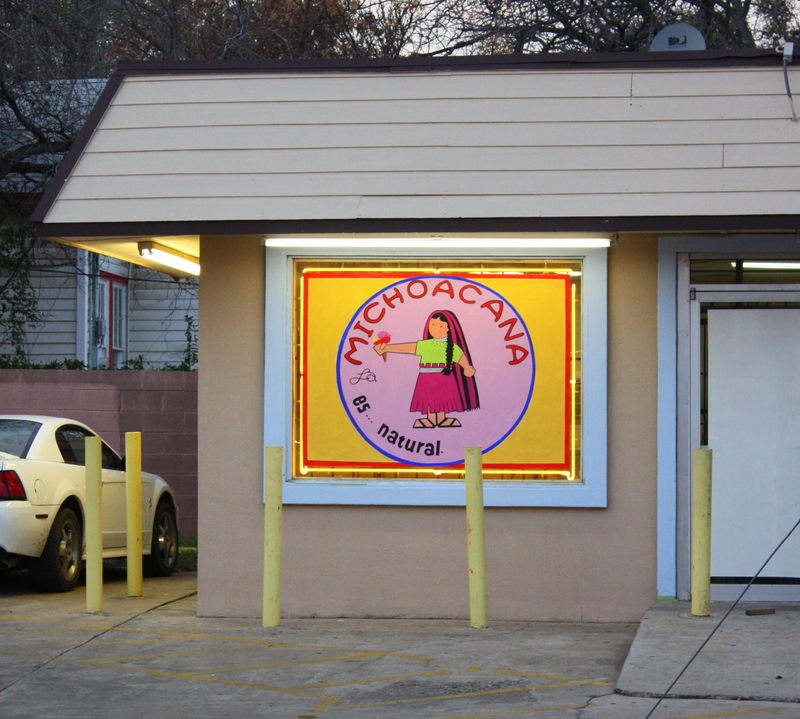 While the stone walls and steel roof are charmingly Texana, this is a a newly-built-for-the-purpose structure, which along with its movie marquee style sign creates for me an off-putting first impression. Fortunately it gets nothing but better inside. A high, open-bean ceiling opens into loft seating that has an intimate feeling without the claustrophobia… kind of like sitting in a tree house. 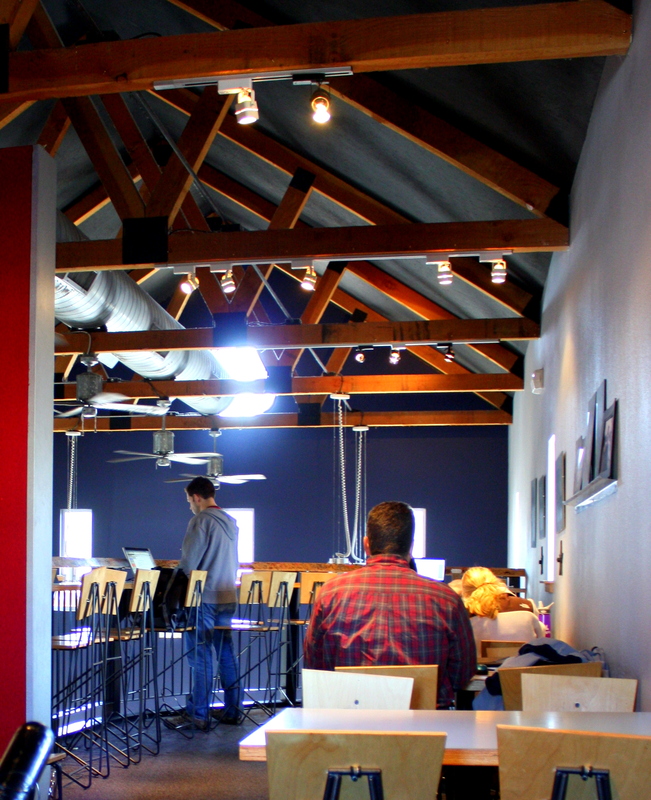 It’s not unusual to find the tables downstairs almost mostly empty, but the loft filled with silent laptop users. Barstools and a counter along the loft railing look down on the dining area. 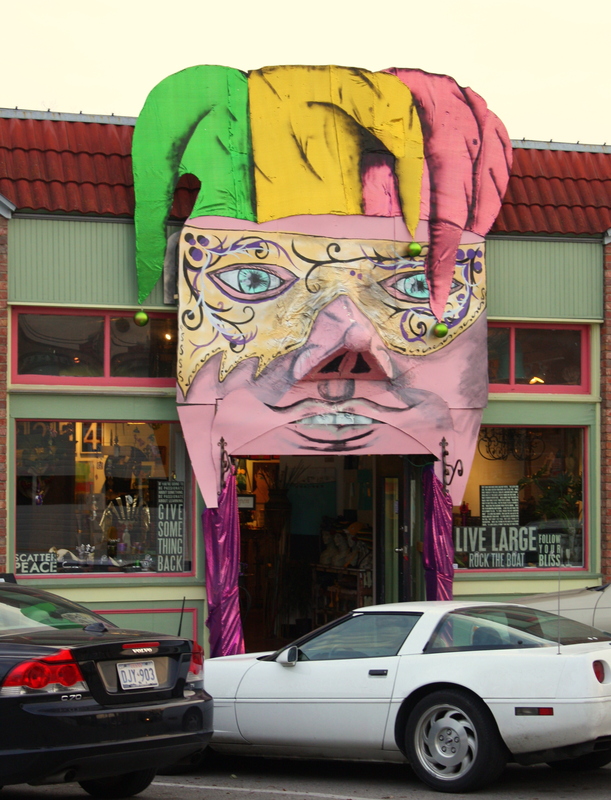 These guys are serious enough about coffee to roast their own, and serious enough about social responsibility and sustainability that the place is both a Certified Fair Trade Roaster and a Certified Rainforest Alliance Roaster. There’s light entertainment here several nights weekly and an open mike night on Tuesdays. 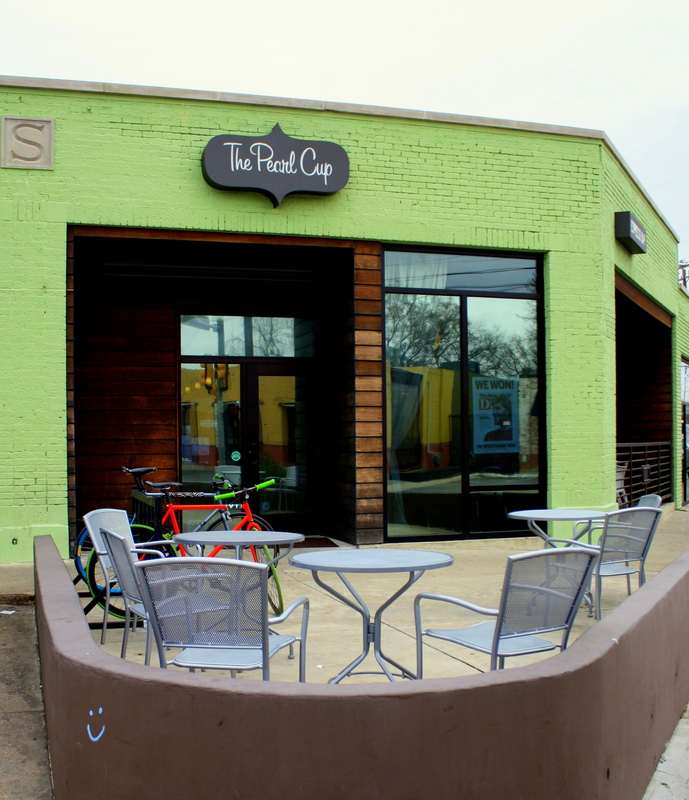 THE PEARL CUP is located in a can’t-miss-it-lime-green building at the corner of Henderson and McMillan, just a couple of blocks north of where Ross meets Lower Greenville. 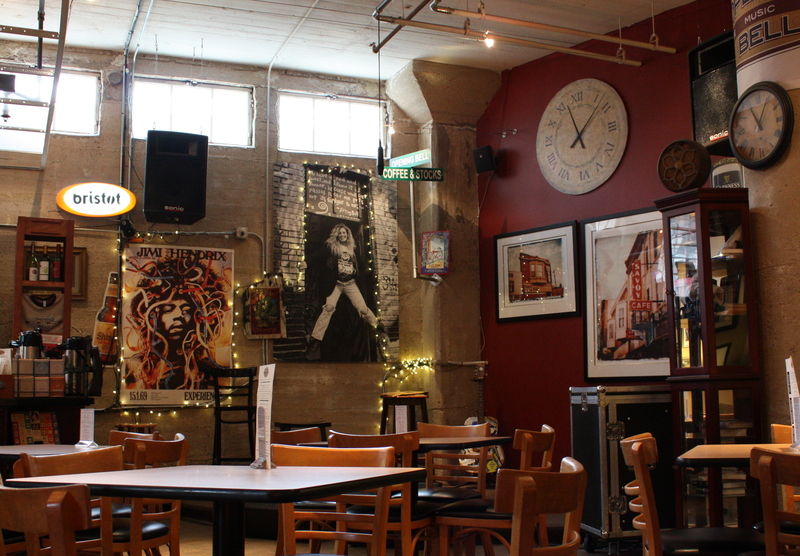 Metal tables, exposed rafters, concrete floors, and brick walls produce an industrial loft ambiance, although there’s plenty of art hanging. The crowd here is a mix of young apartment dwellers, students and (more so on weekends) M Street homeowners. 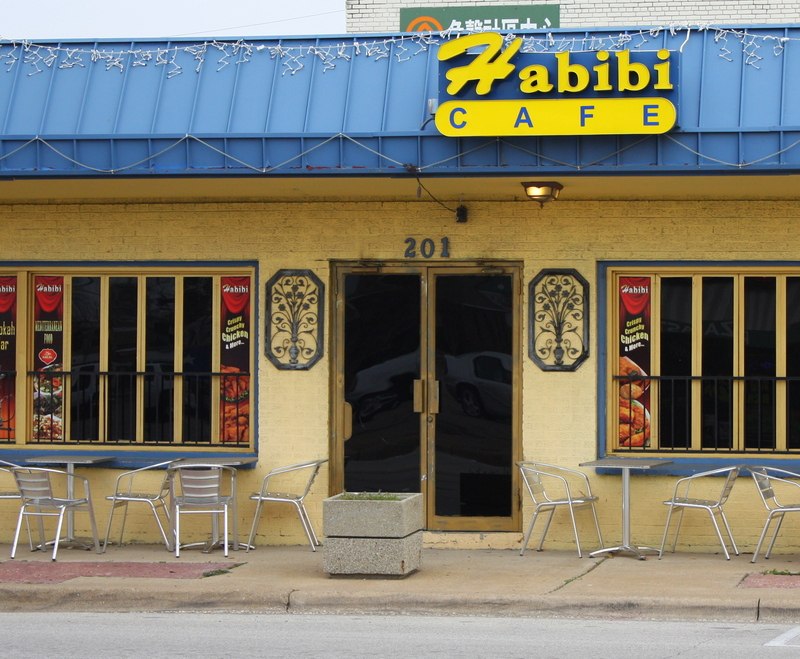 The menu is mostly limited to goes-well-with-coffee items. 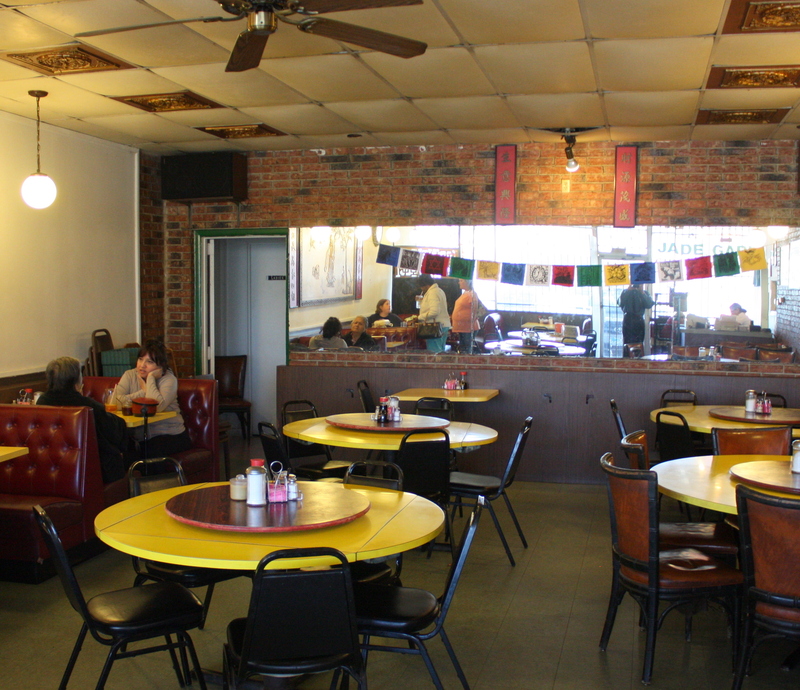 There’s counter seating and table seating inside. 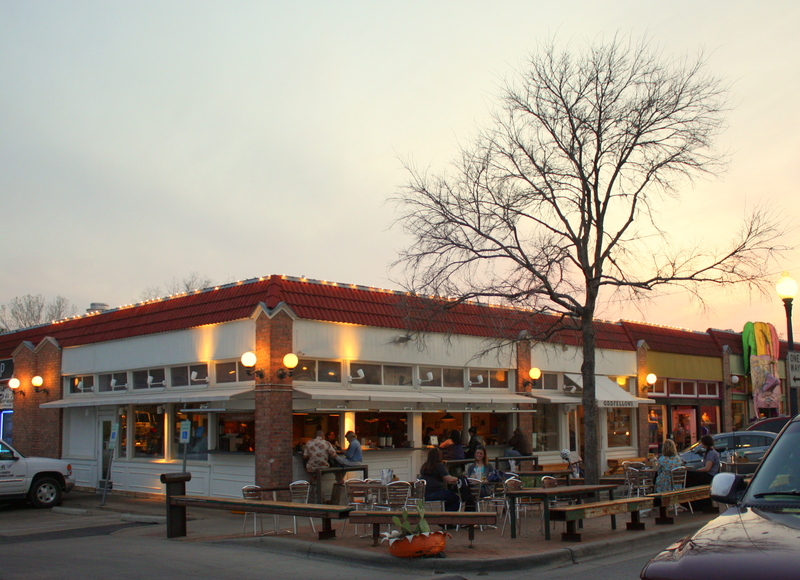 There’s also patio seating when fickle Dallas weather permits and, of course, wi-fi. 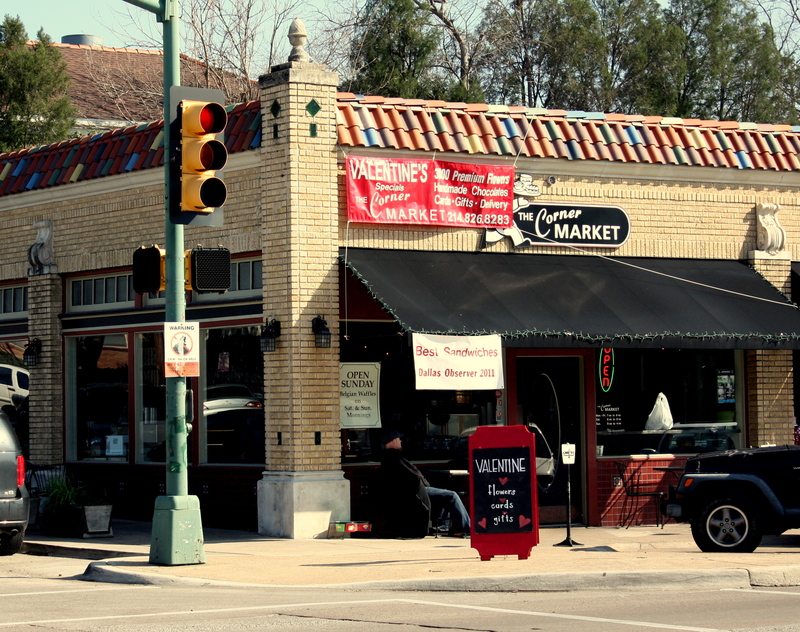 CORNER MARKET is located on Lower Greenville at McCommas. 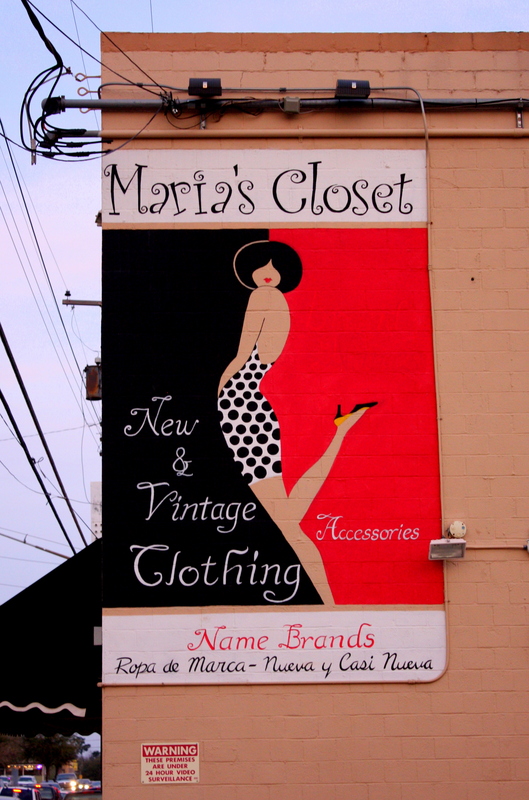 It’s in the same building that houses the Buffalo Exchange recycled clothing store, a block south of the Granada Theater. 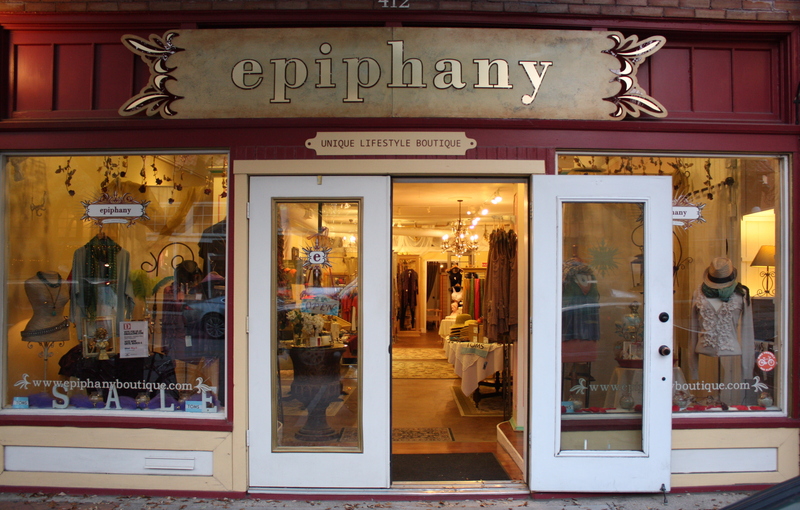 It connects through inside doors to a neighboring florist shop on one side and the Society Bakery on the other, creating the feeling of a covered urban market. 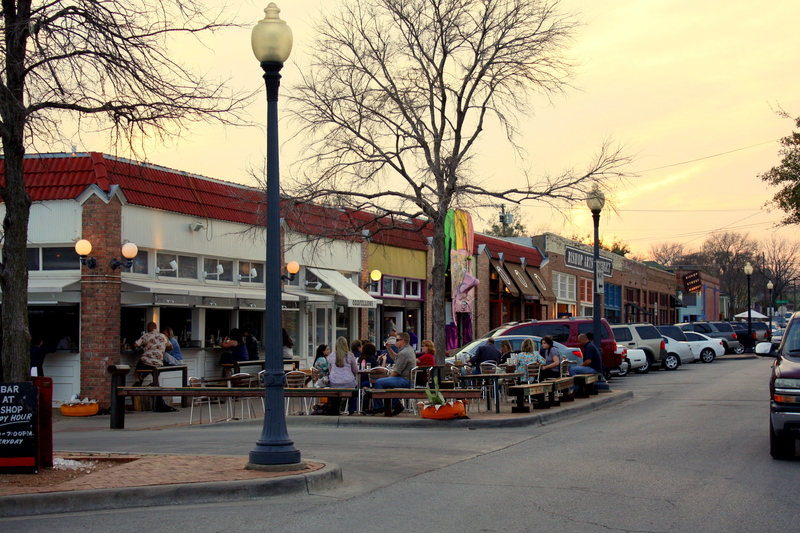 The crowd here is a bit older than at nearby Pearl Cup, a mix of Lower Greenville renters and – particularly on weekends – a big infusion of M Street homeowners. 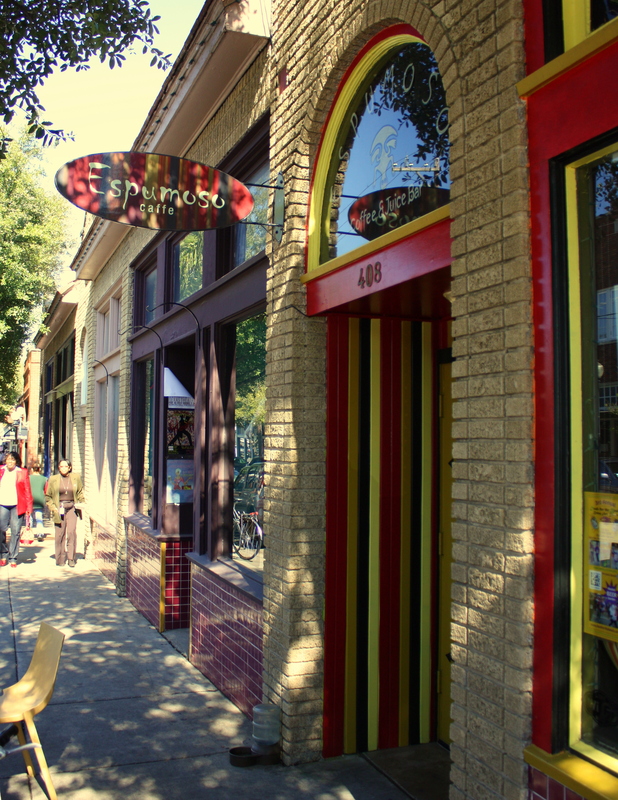 ESPUMOSO COFFEE is located in an old Bishop Arts District streetfront store between 7th and 8thStreets just across from Eno’s Pizza Tavern. Coffee is the undisputed centerpiece of a light menu of smoothies, ice cream, desserts, and pastries. 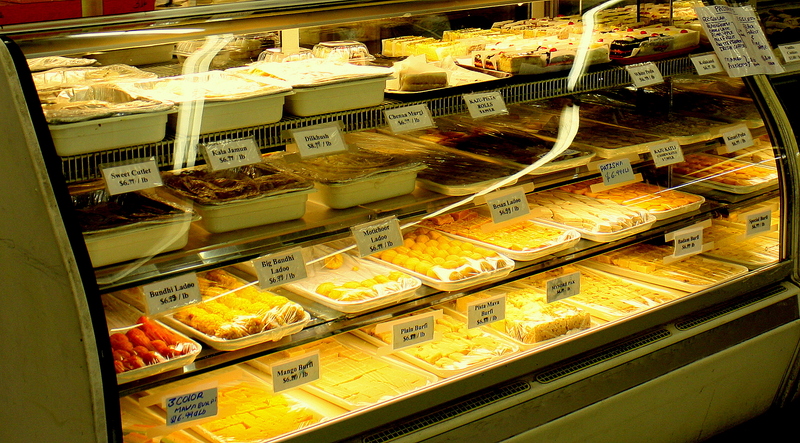 The house specialty is a selection of homemade empanadas. 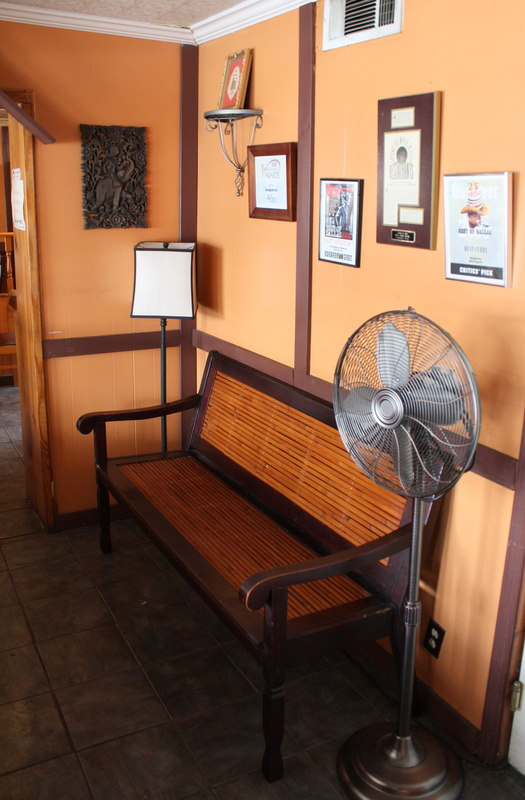 The piped-in music can get a bit loud, but the place is uncrowded during the day and although seating is limited the couches are quite comfortable. 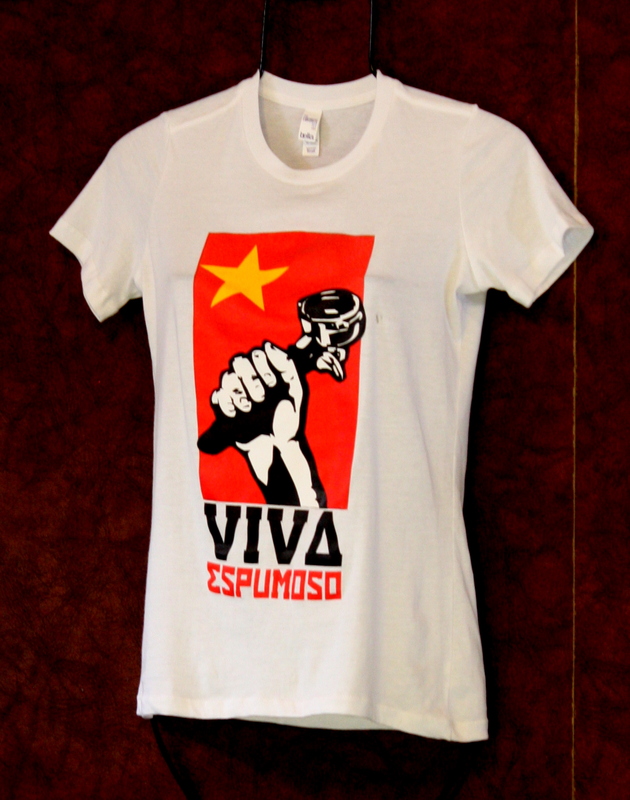 And they have by far the coolest T-shirt of any Dallas coffeehouse. 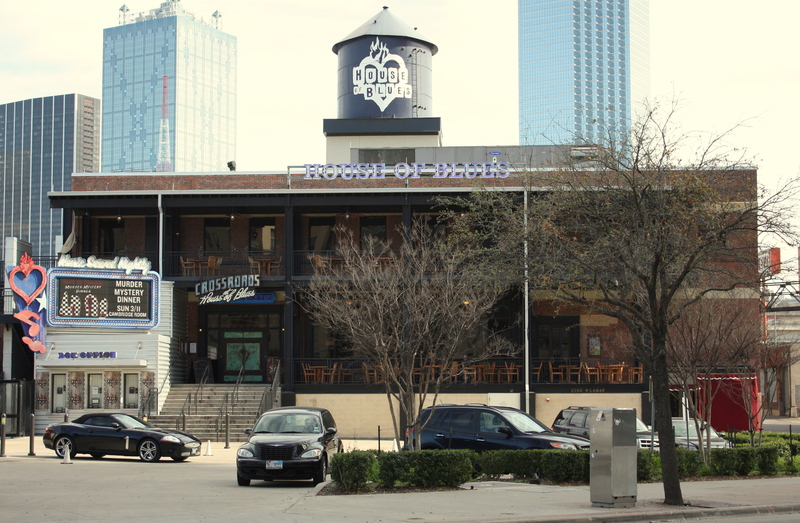 THE OPENING BELL is located in the historic Sears Building in Southside On Lamar, a block from the DART Rail Cedars Station (the Dallas nighttime skyline looks incredible from here, especially since the convention center hotel has lighted up.) 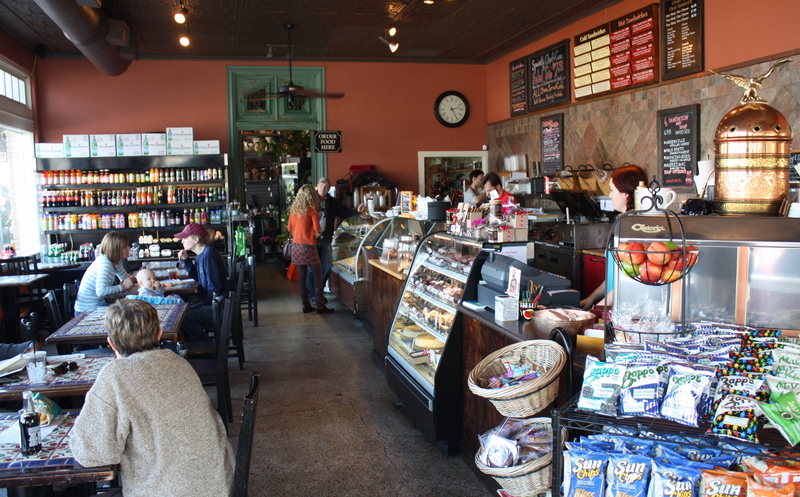 This place has the look of a Greenwich Village or North Beach coffeehouse. To begin with it’s a basement walk-down. Then there’s the life-sized poster of Townes Van Zandt, and the small stage and microphone set up in one corner. 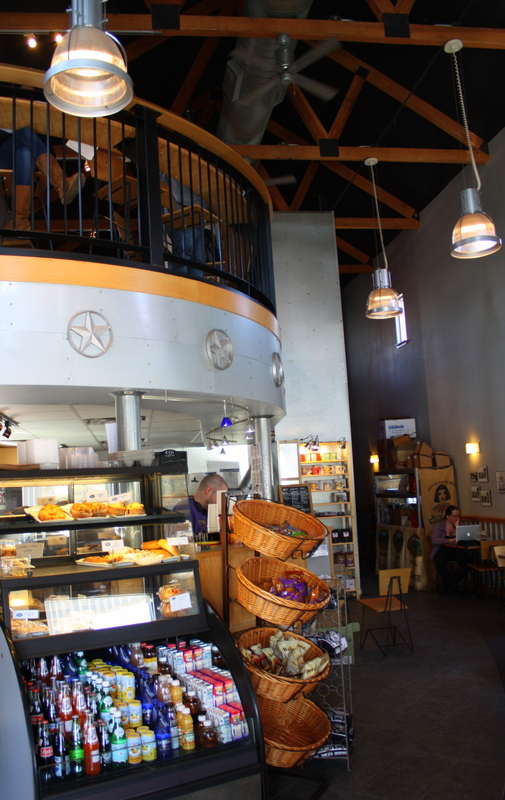 The architecture includes a ceiling of old tin tiles or exposed rafters and/or an exposed concrete floor. 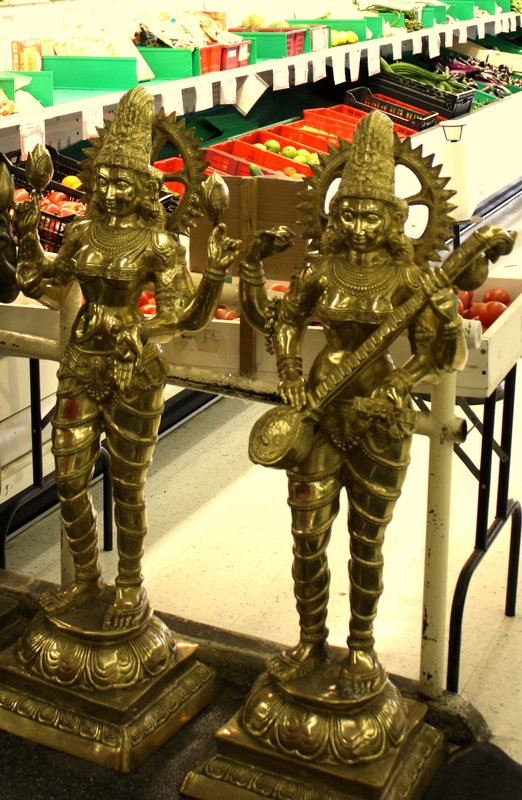 The décor exudes a funky or artsy one-of-a-kind ambiance. Drinks consumed on-premise are served in ceramic cups instead of paper cups. 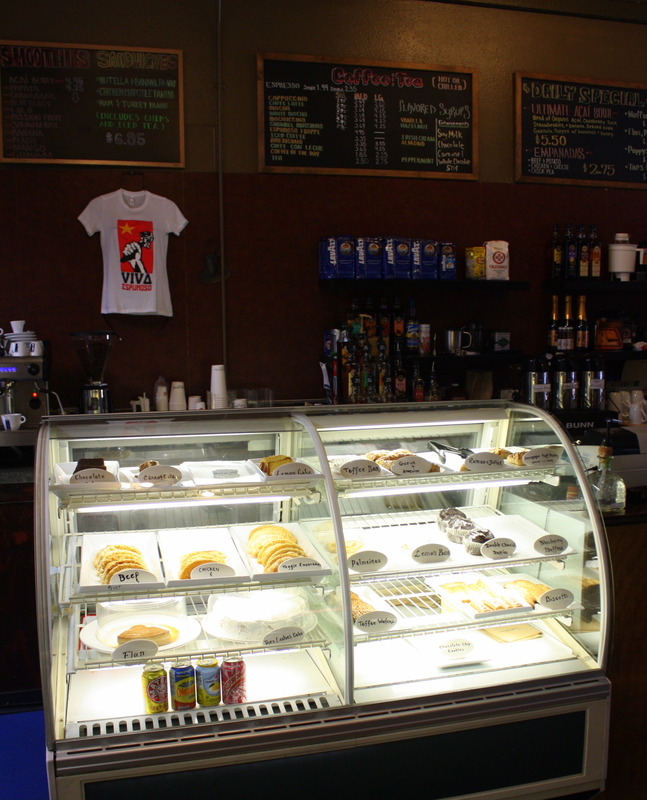 The limited food menu pays homage to the caf-o-holic customer base… and it’s all hand-printed on a chalkboard. The staff has the requisite number of tats and piercings, dresses in black both on and off the job, and looks totally caffeine-wired and/or sleep-deprived. 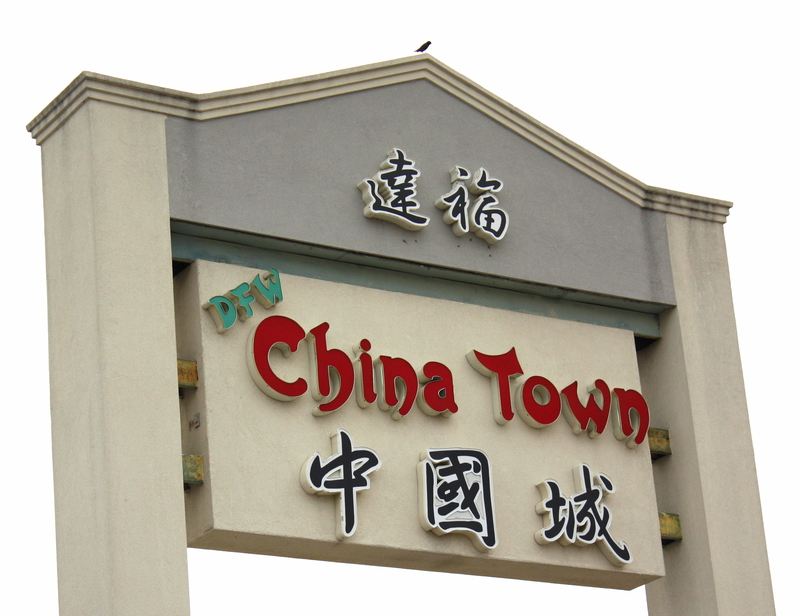 There is one and only one location. It’s a bit mind-bending that Dallas, after a summer of record heat and drought, was doused by more than 4″ of rainfall in 24 hours earlier this week. 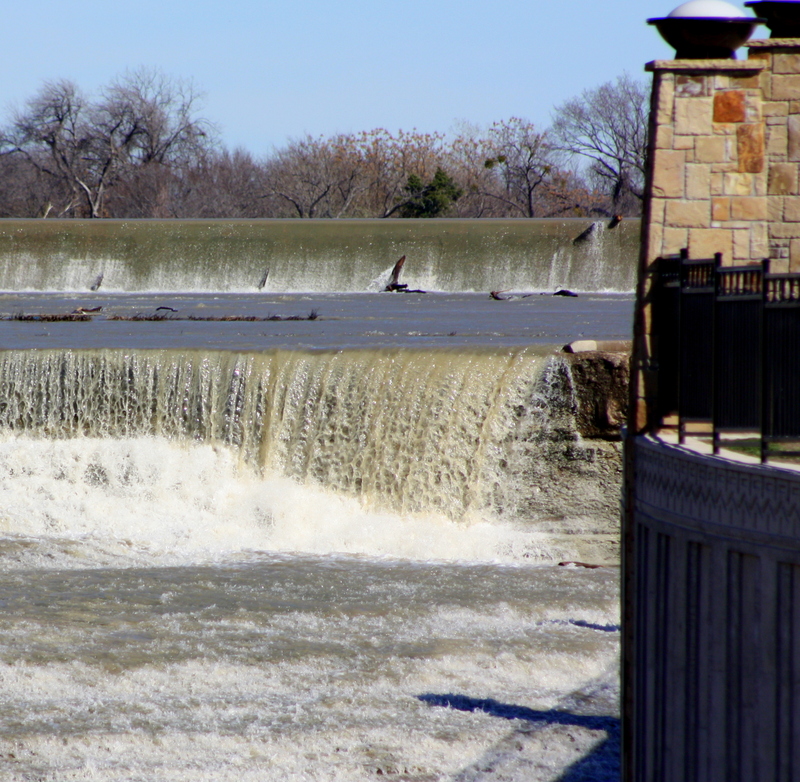 By Wednesday the spillway below the White Rock Lake dam – bone-dry enough to walk across as recently as September – had become a miniature Niagara flowing so briskly that birds fishing its surface were quickly swept downstream. 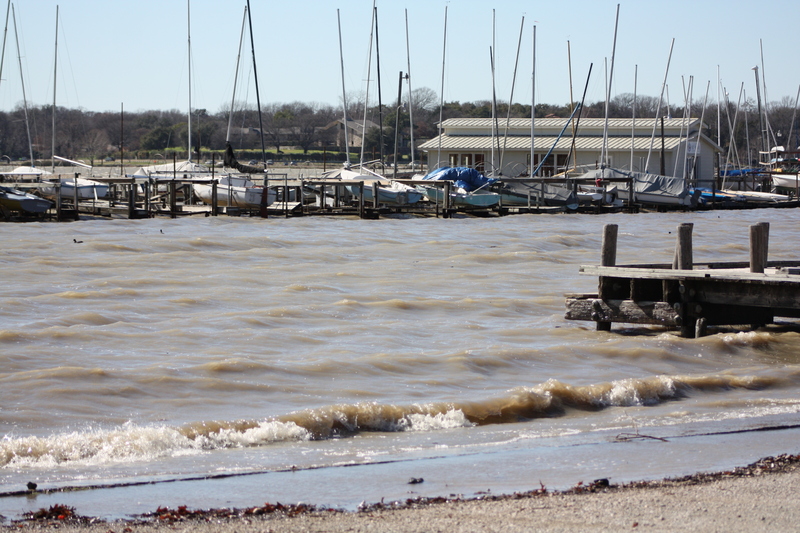 By Thursday morning the flood was cresting as upstream runoff continued to swell White Rock Creek. 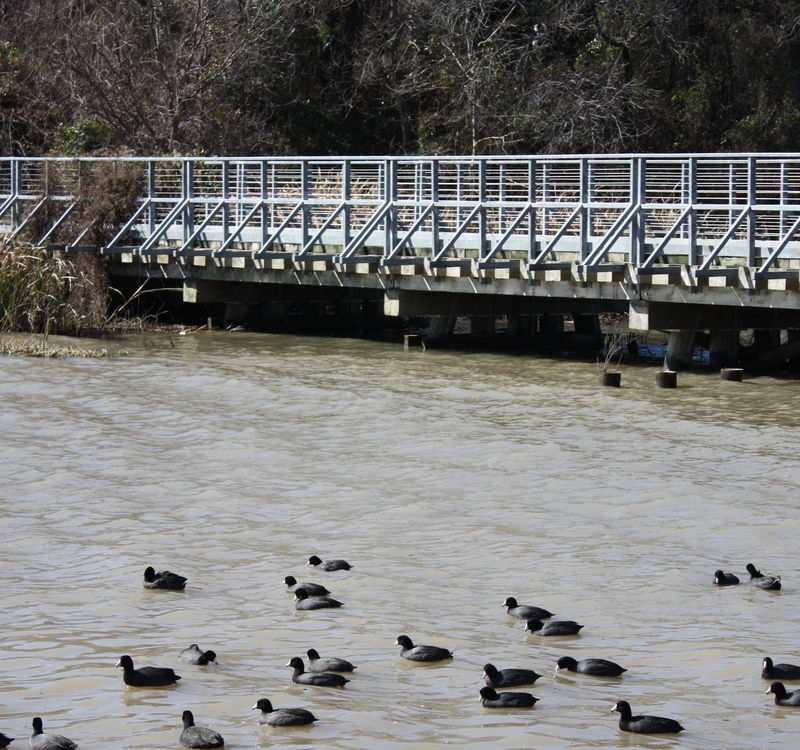 Rising water had spilled over onto the lake trail loop and was lapping at the undersides of its foot bridges. 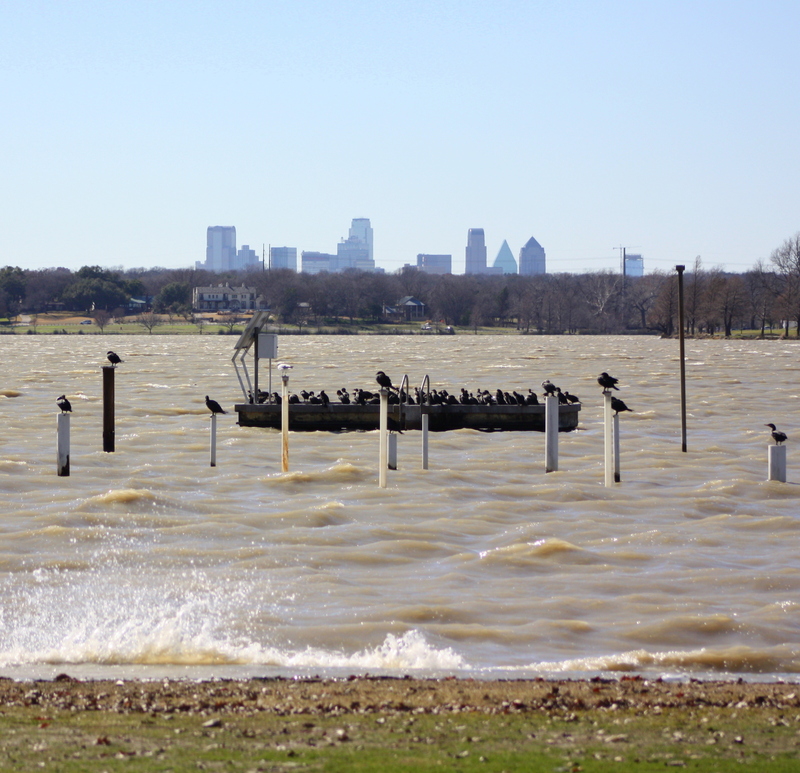 A stiff breeze was whipping up whitecaps. 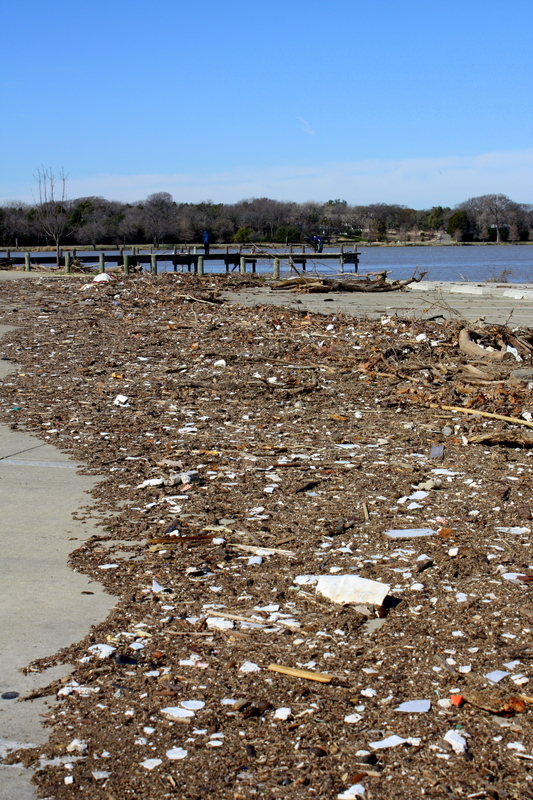 It was no surprise that the storm swept lots of refuse downstream, and as the water began to recede the shoreline was littered with twigs and tree limbs. 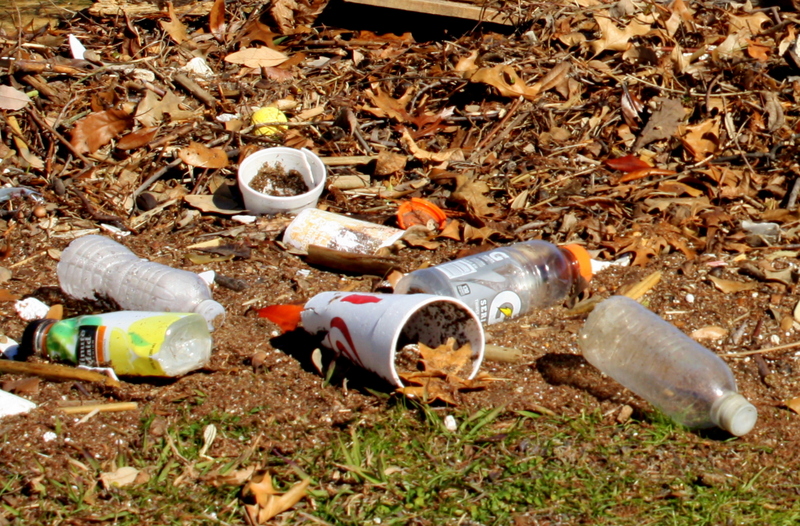 The amount of man-made trash among it was truly sobering, and none among it was more was more prominent than unrecycled plastic and styrofoam packaging bearing the logos of the nation’s largest beverage bottlers and fast food chains. No one seeing this could help but reflect upon the reality that it was only the tip of an iceberg. It gives pause to wonder if, centuries into some post-apocalyptic future when man no longer walks this earth, this will be his only legacy.